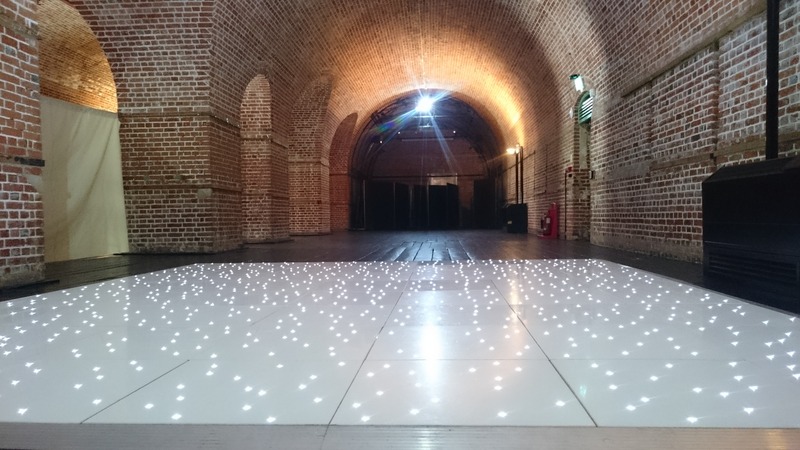 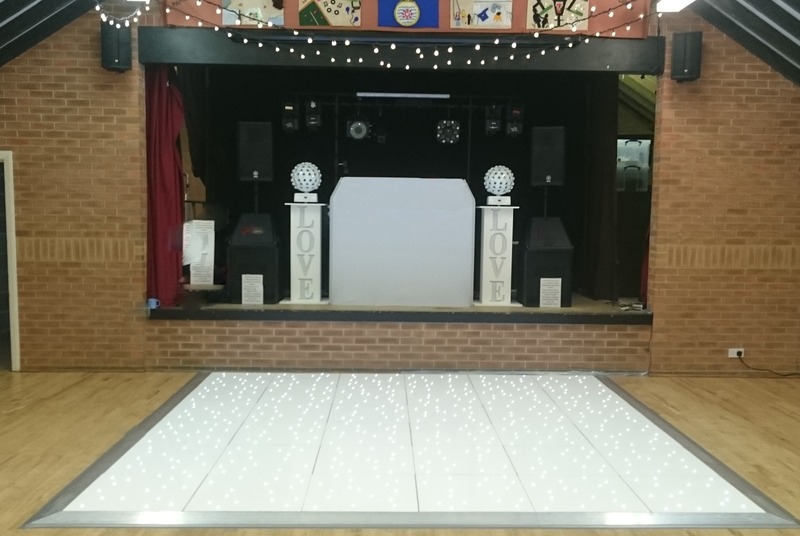 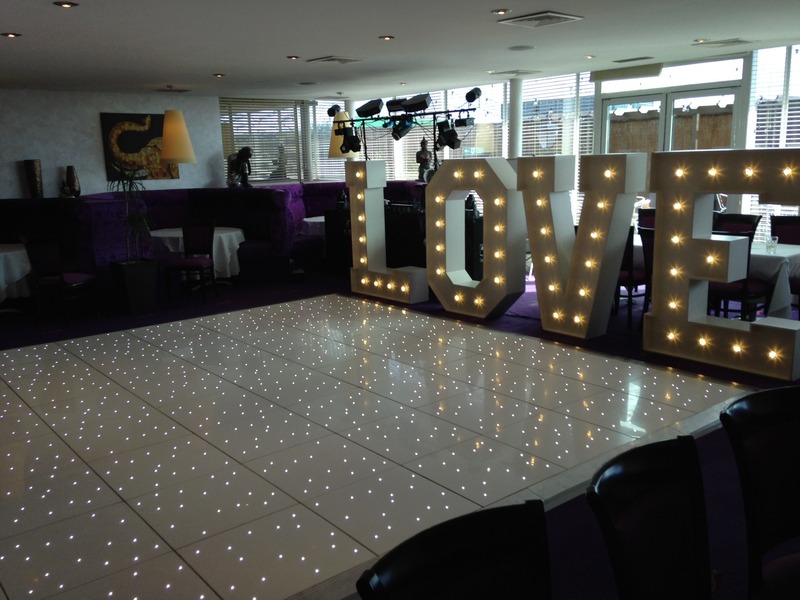 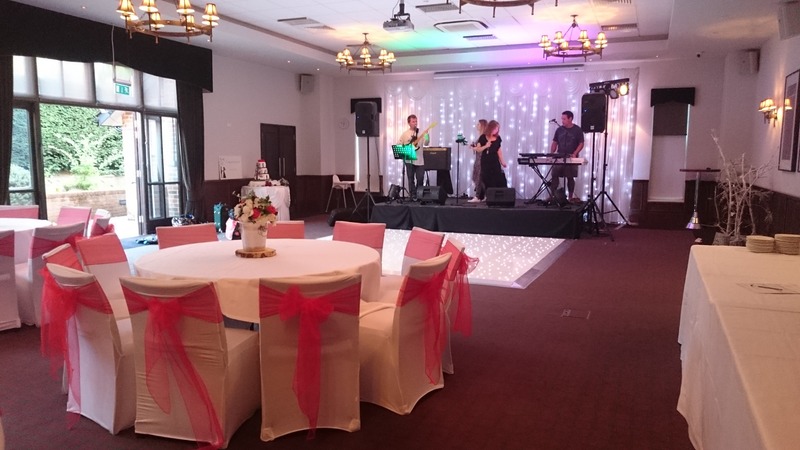 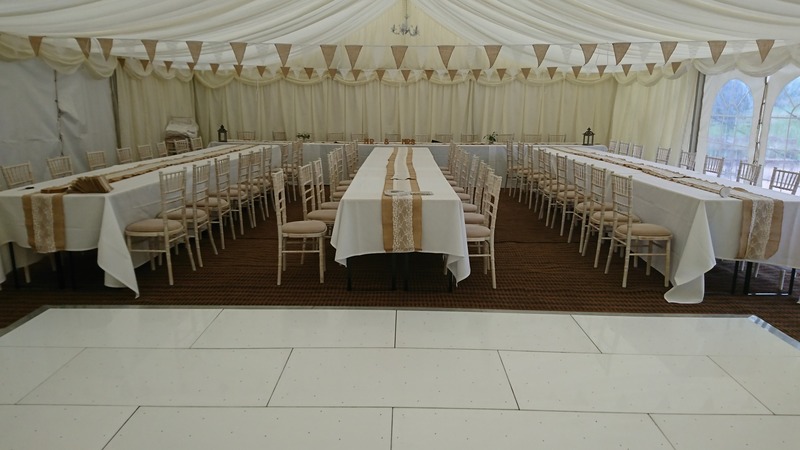 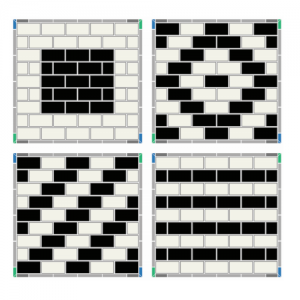 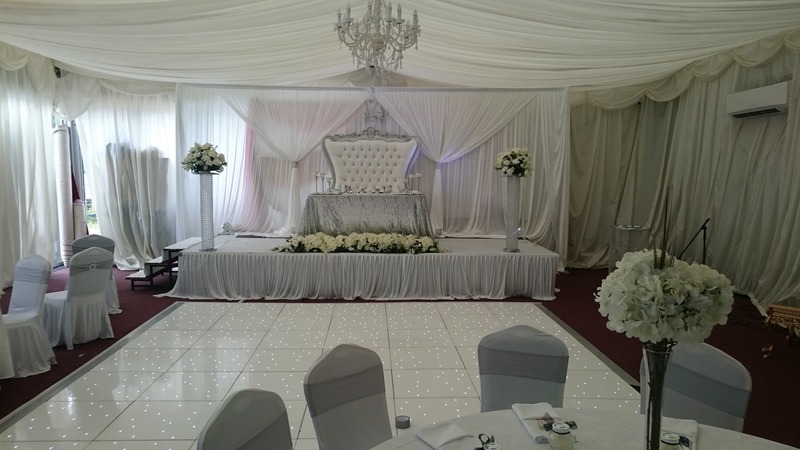 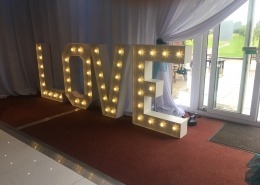 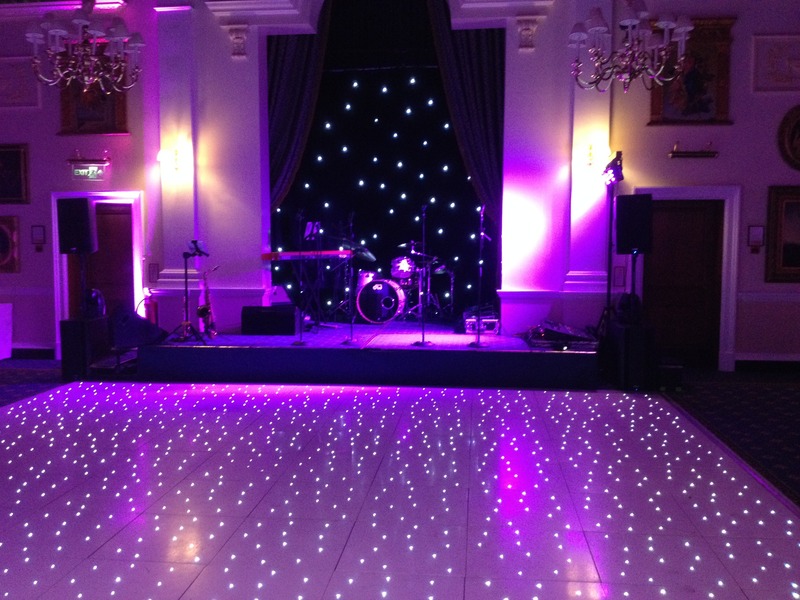 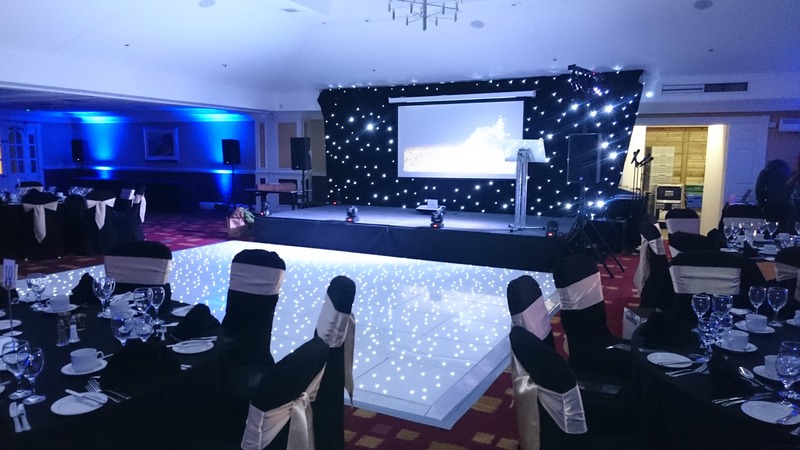 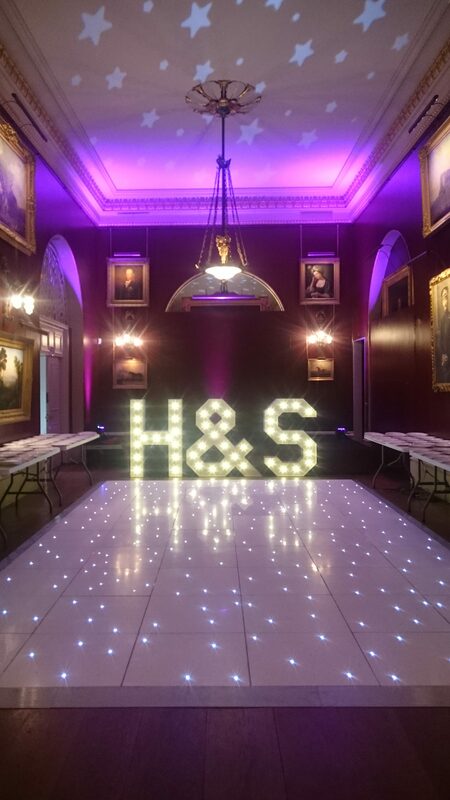 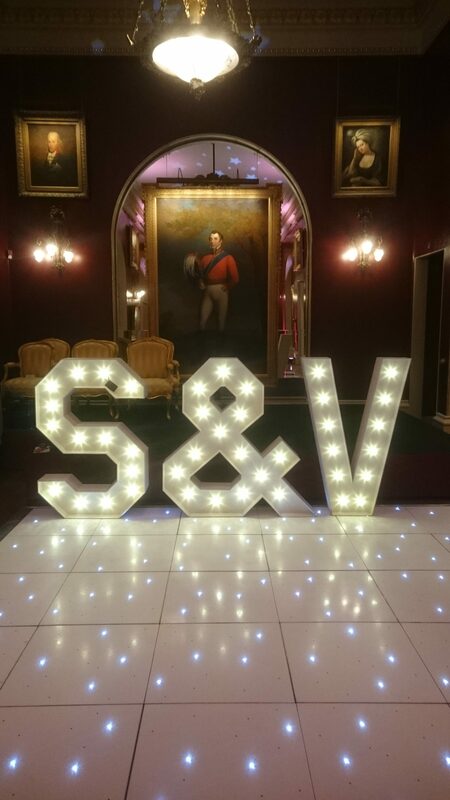 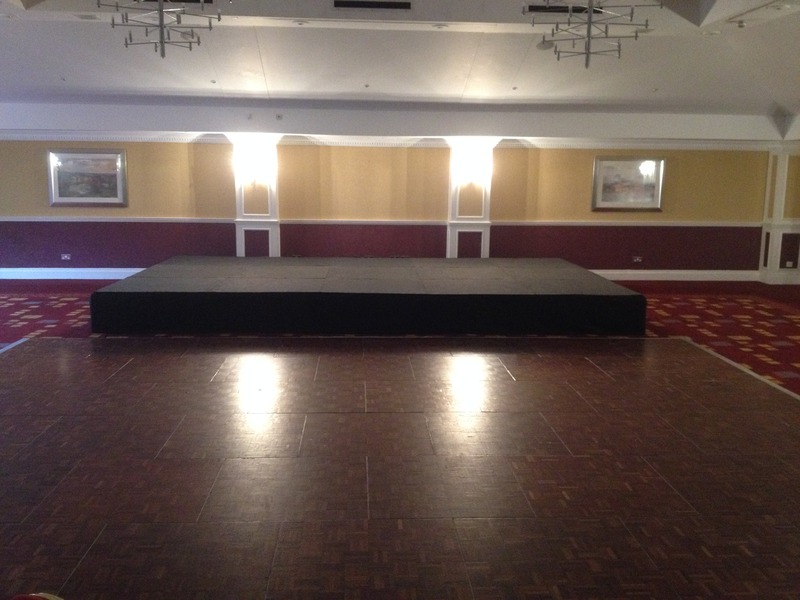 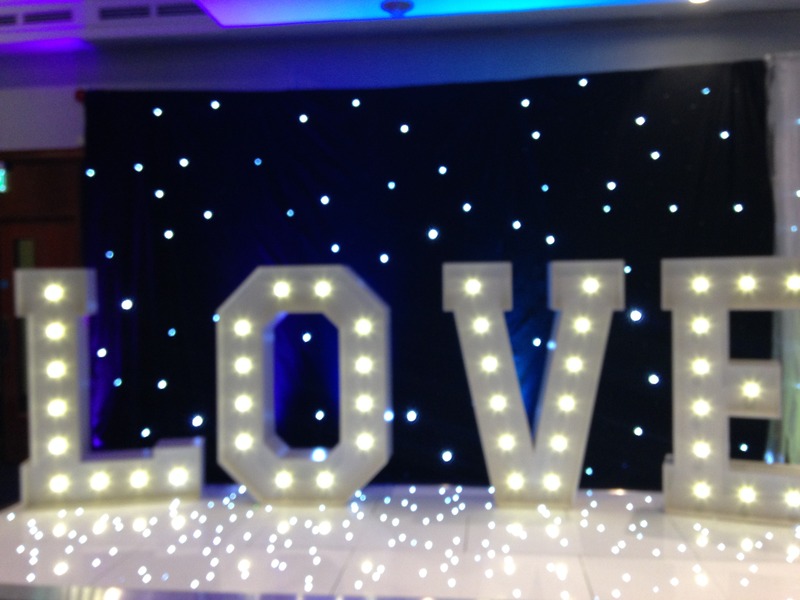 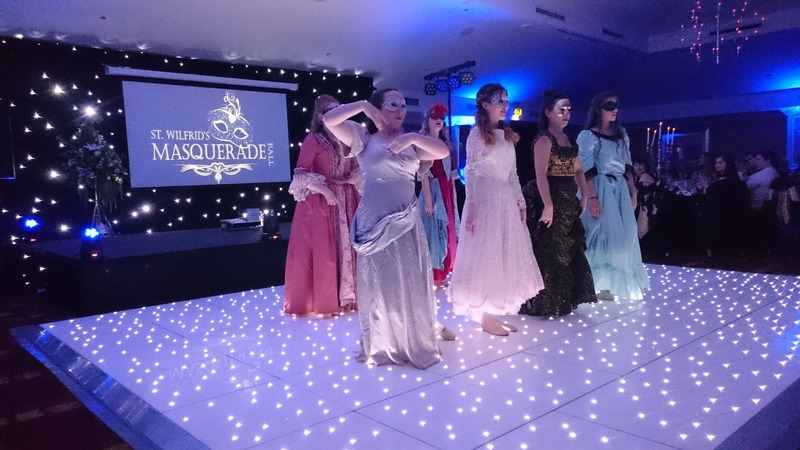 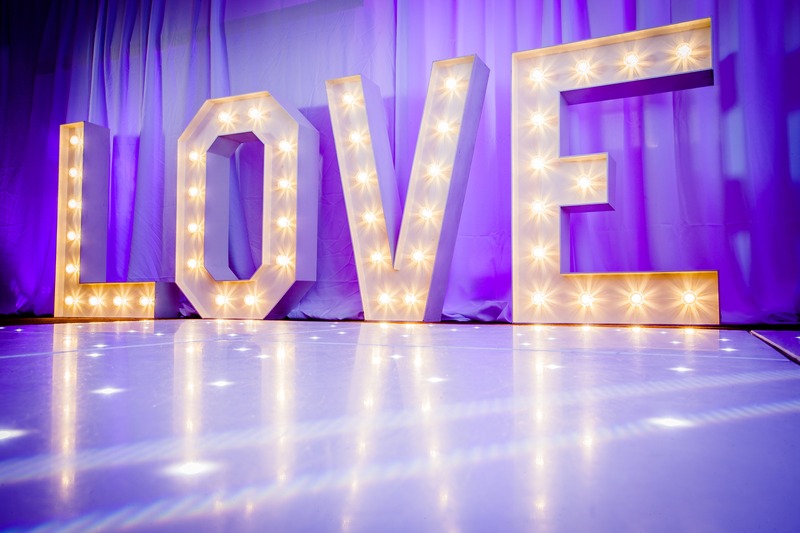 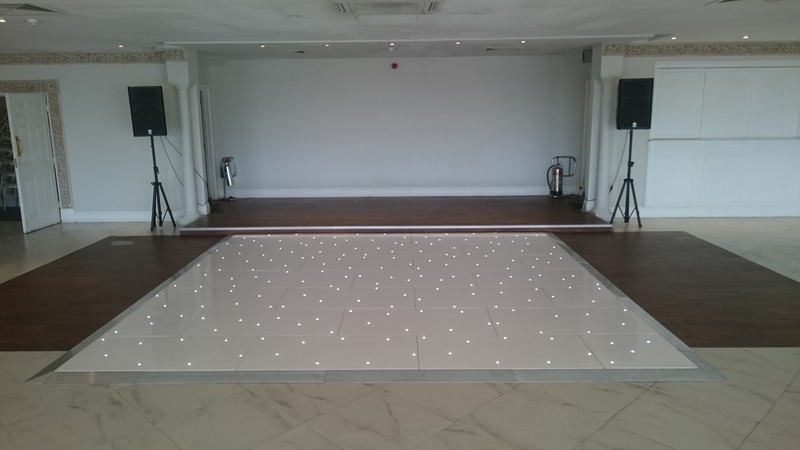 We hold a large stock of dancefloors of various styles to hire, suitable for any event. 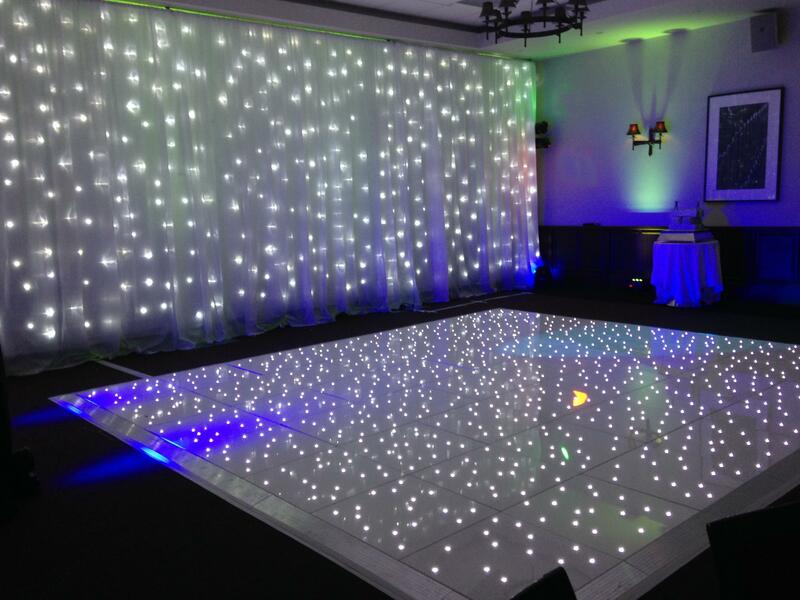 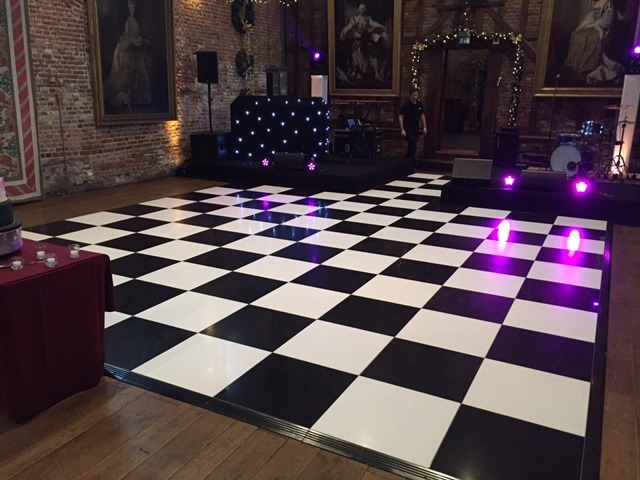 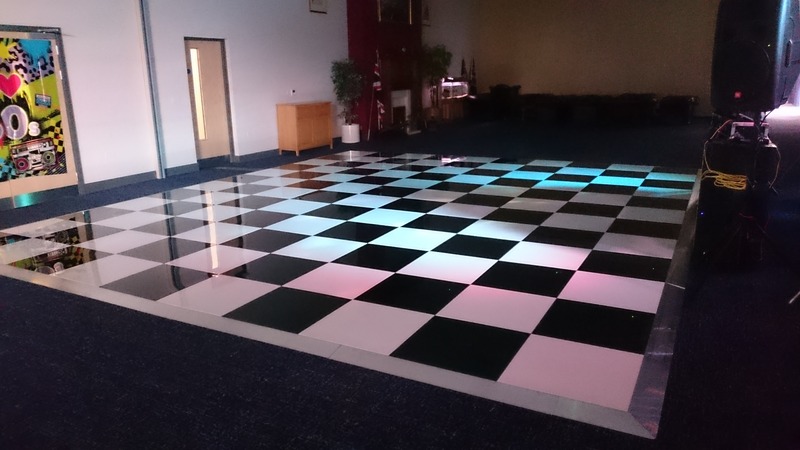 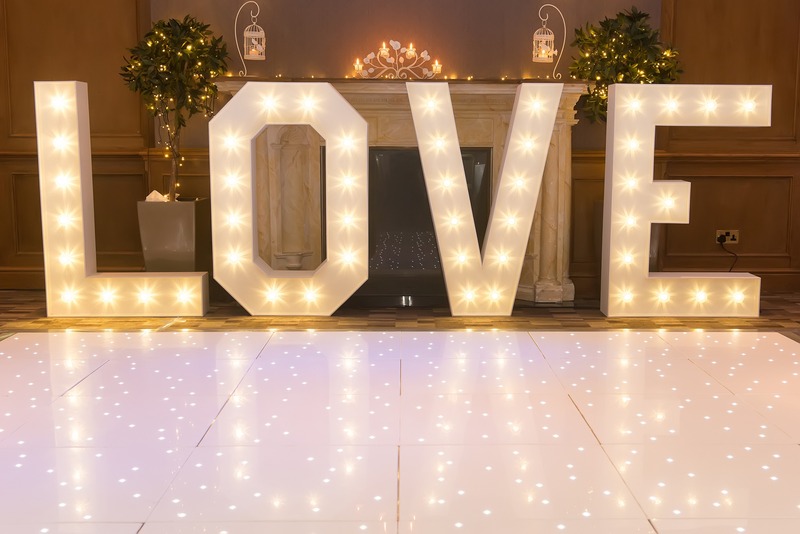 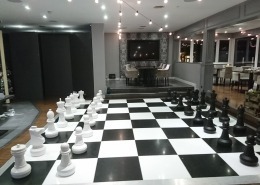 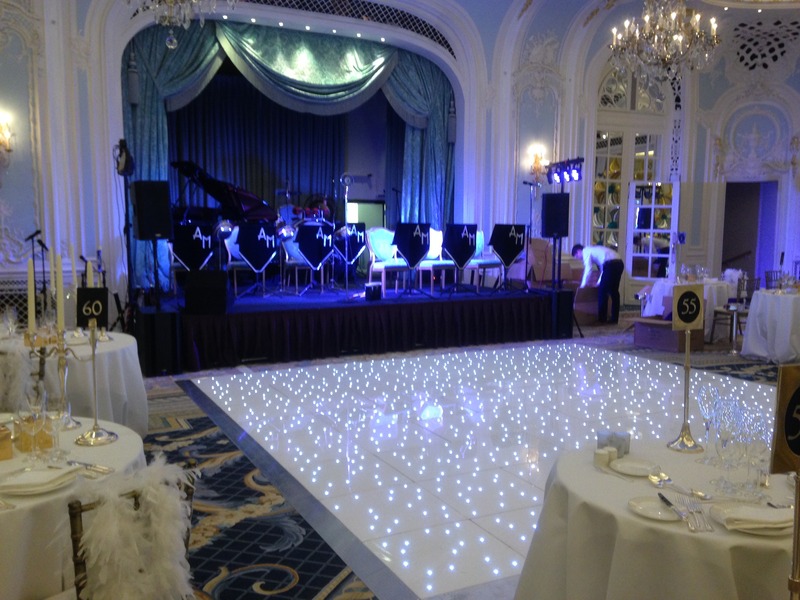 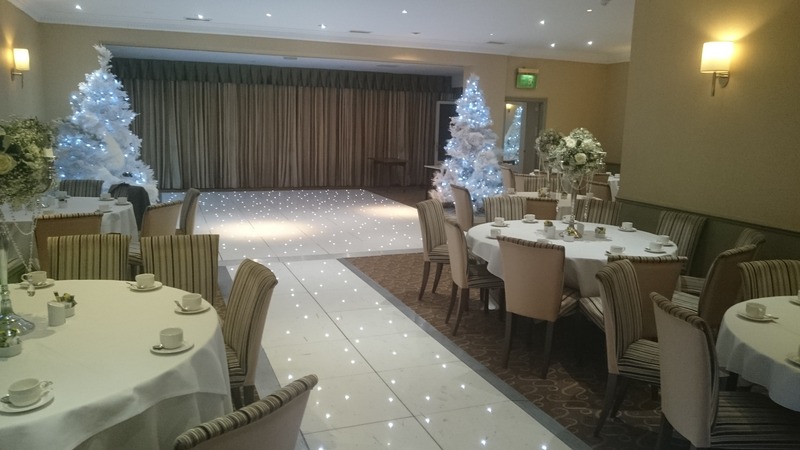 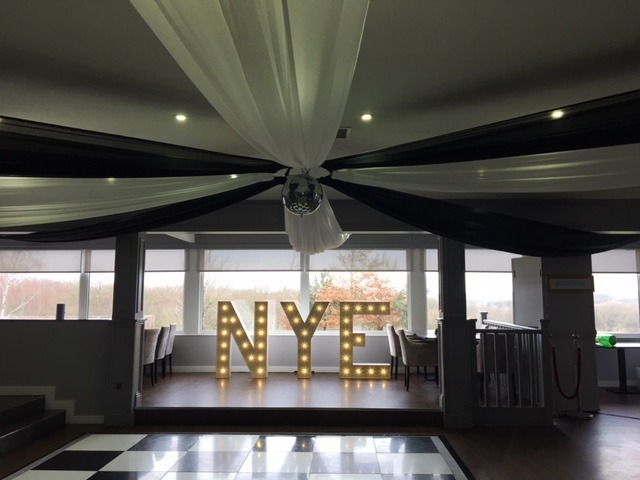 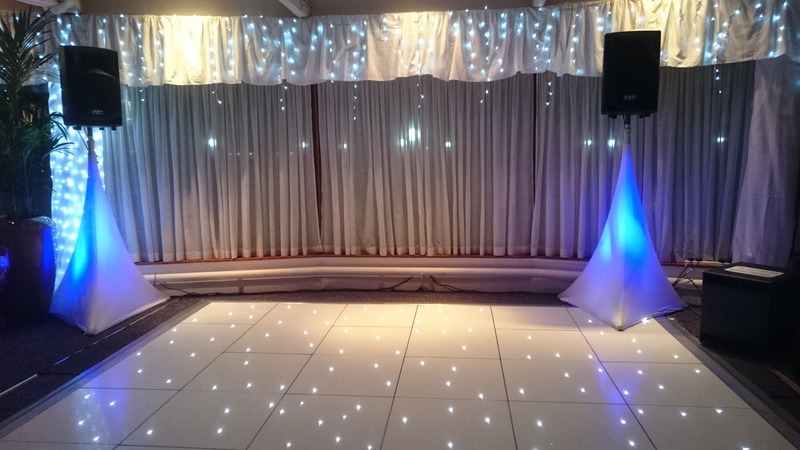 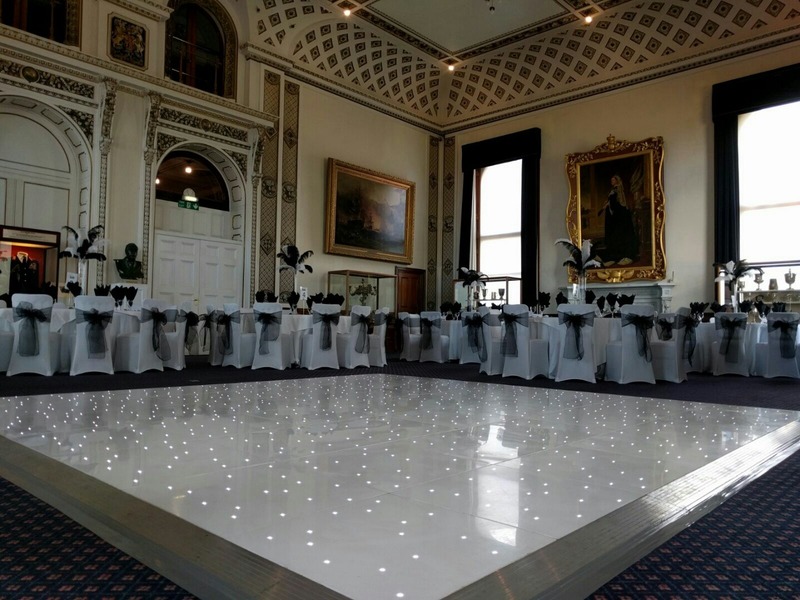 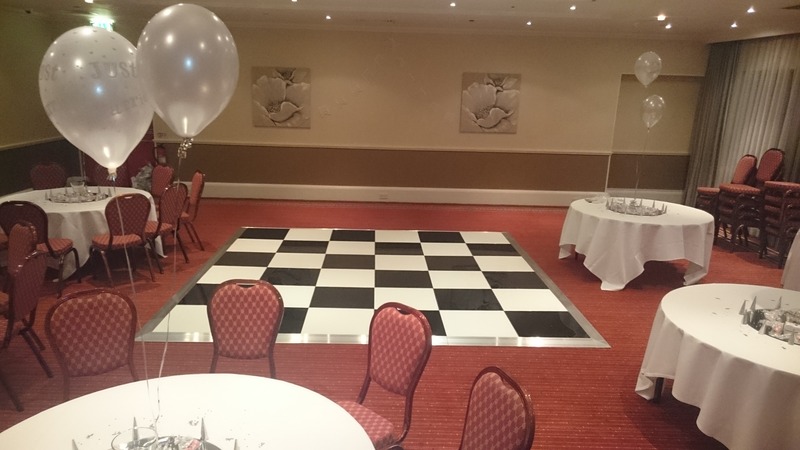 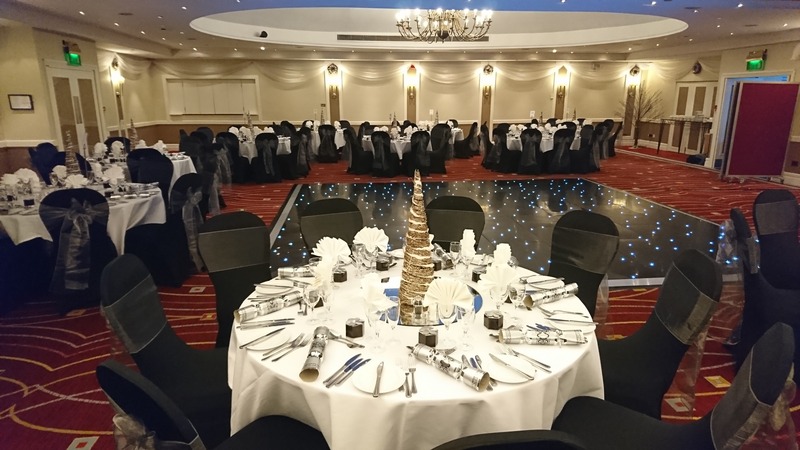 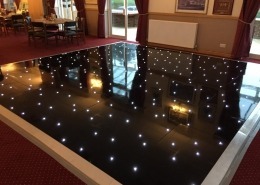 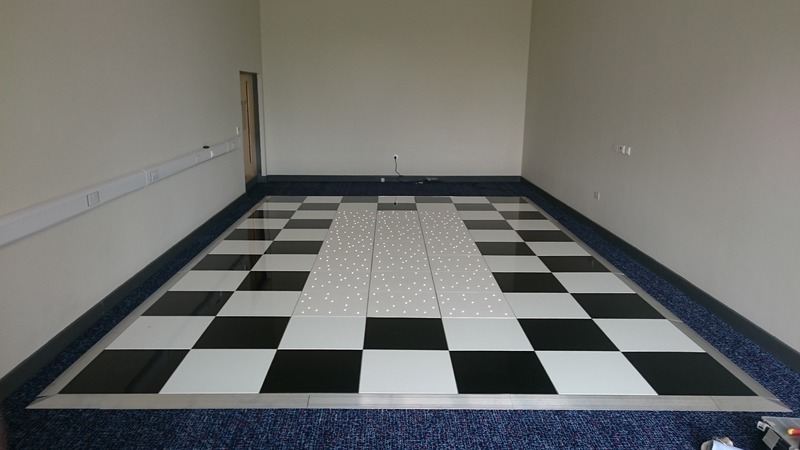 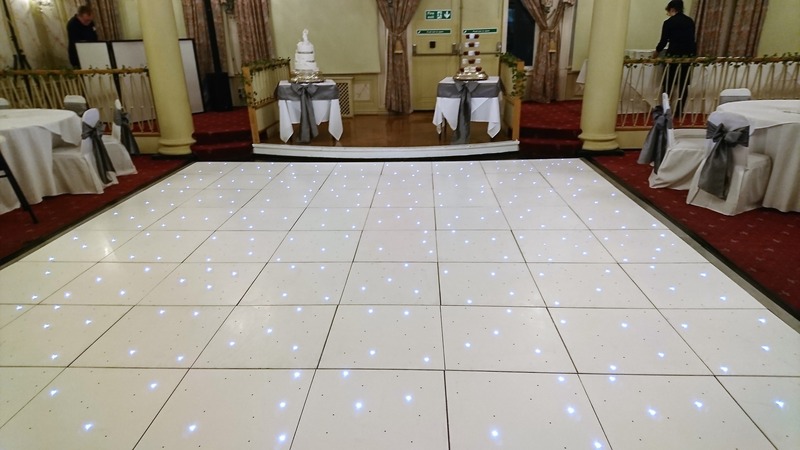 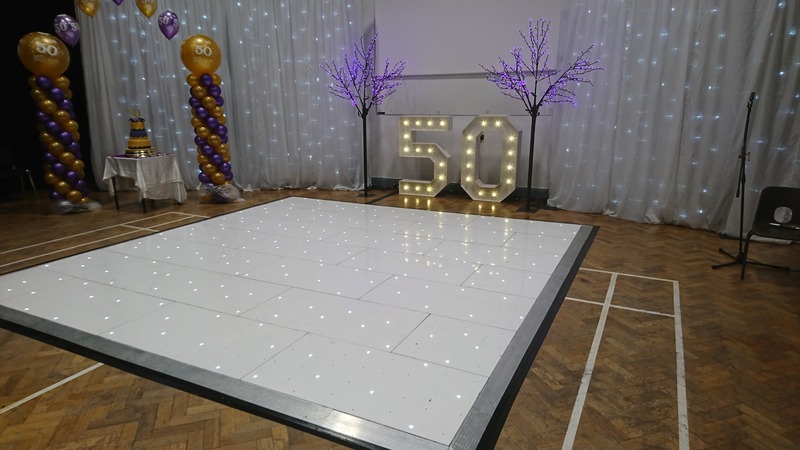 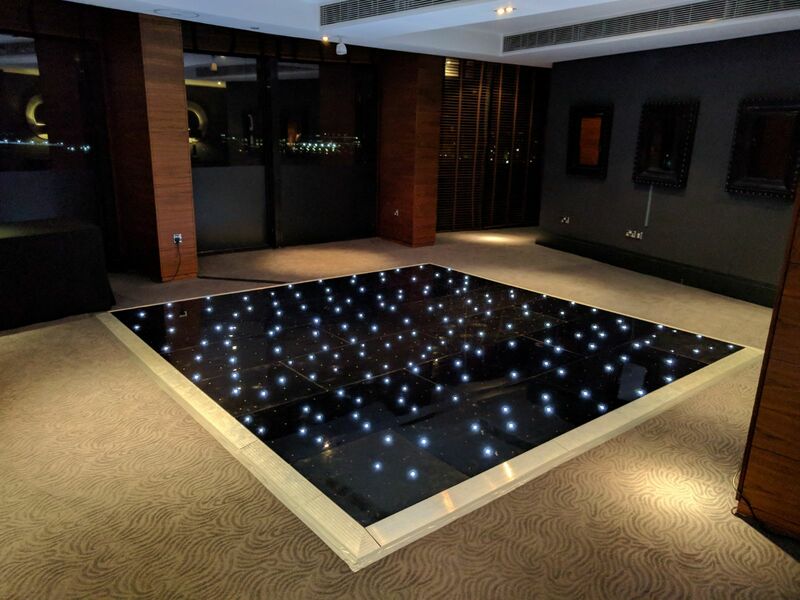 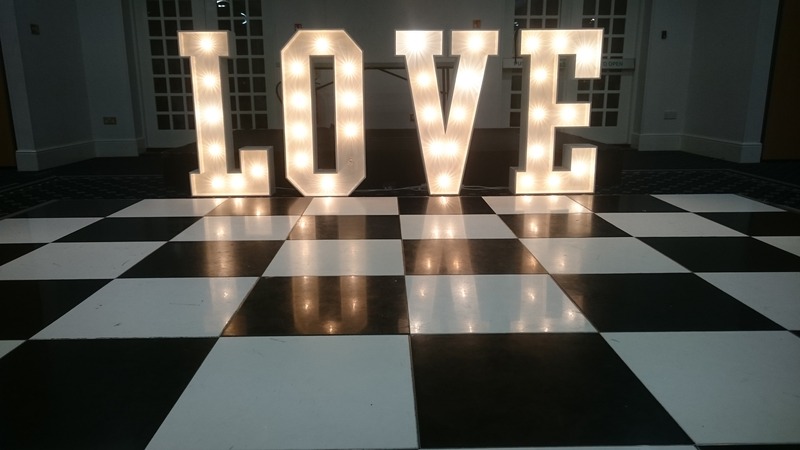 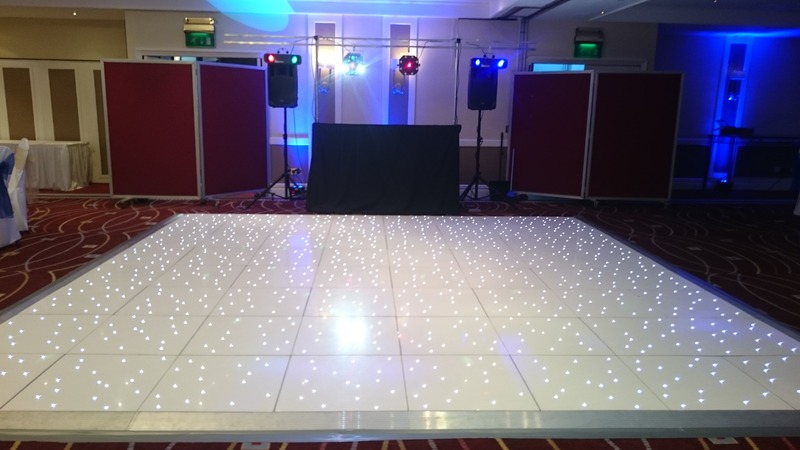 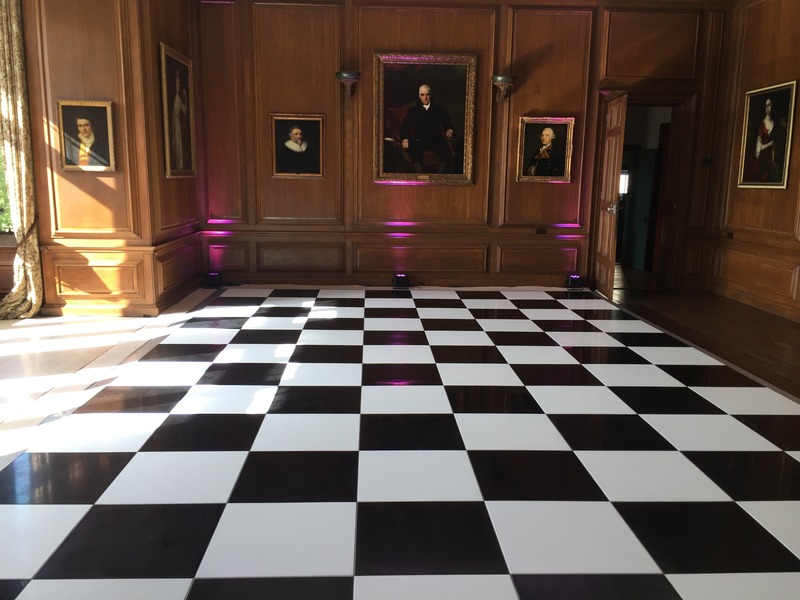 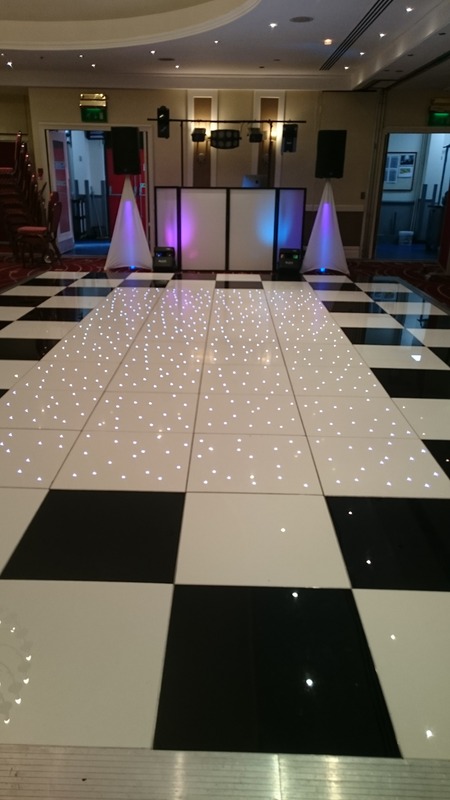 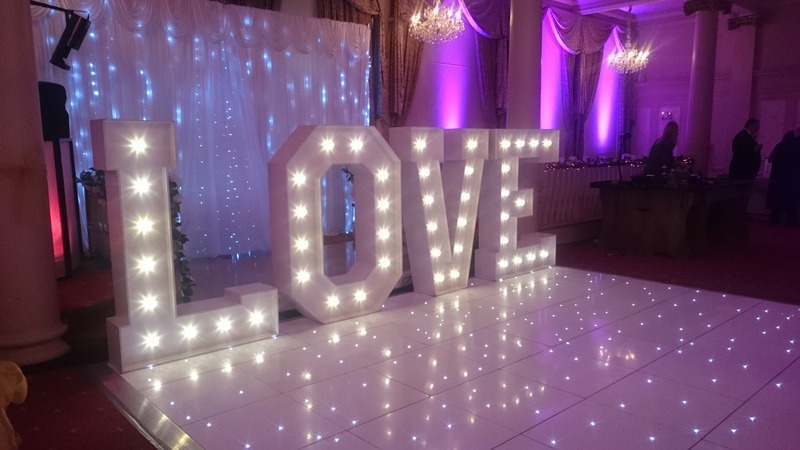 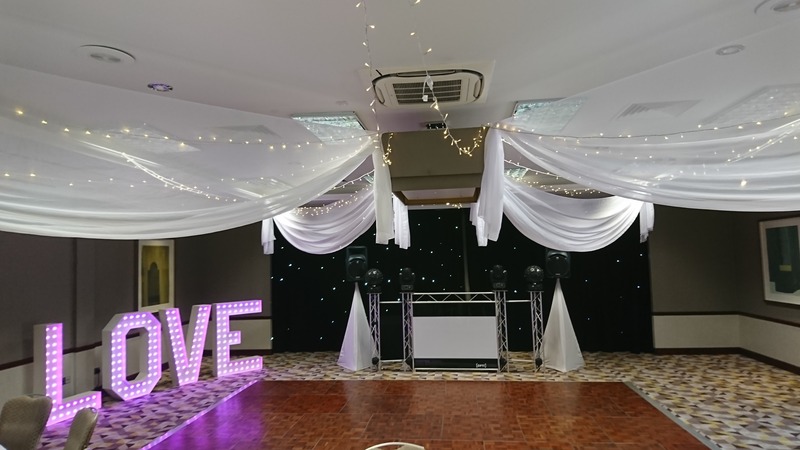 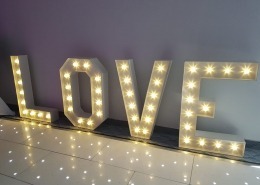 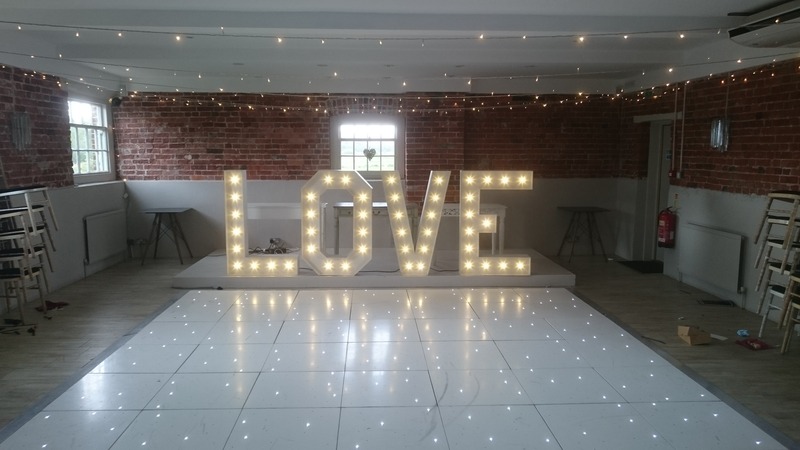 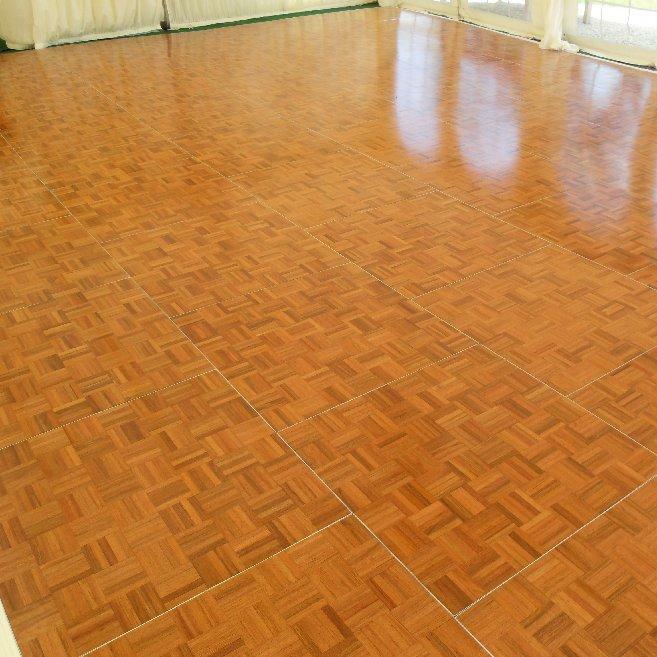 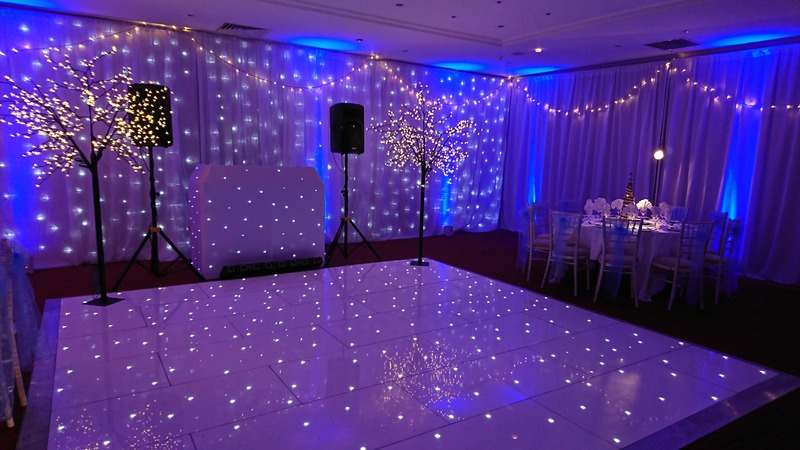 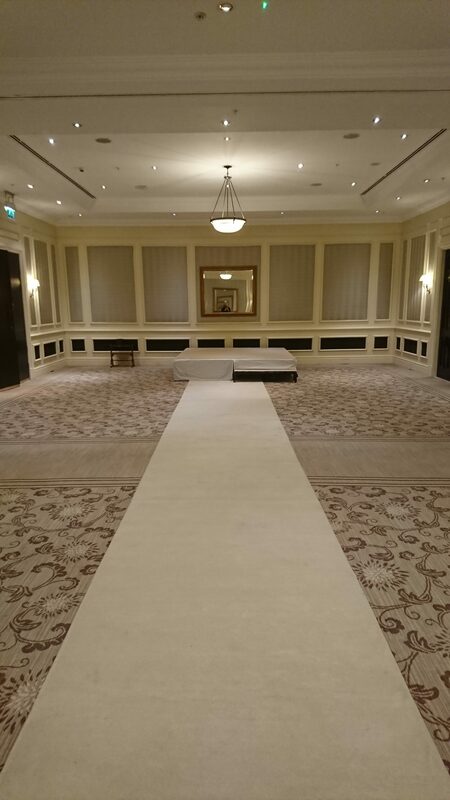 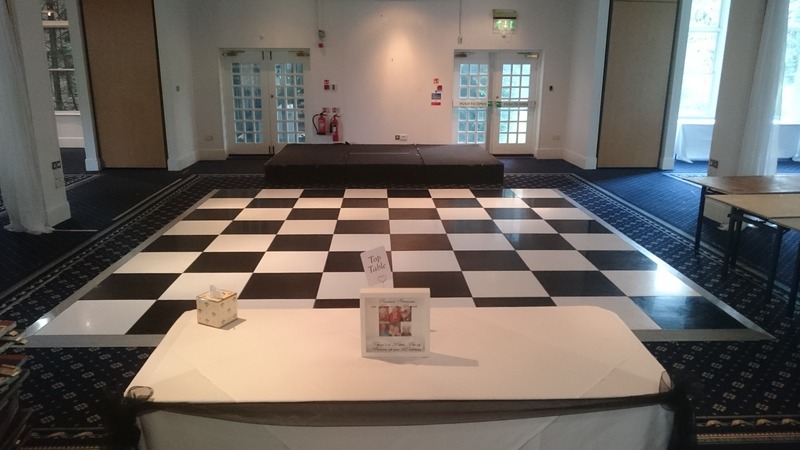 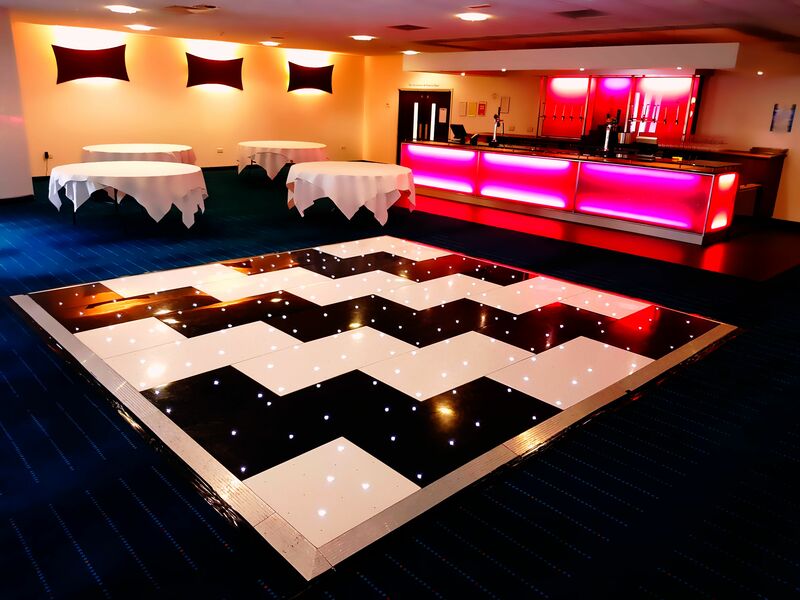 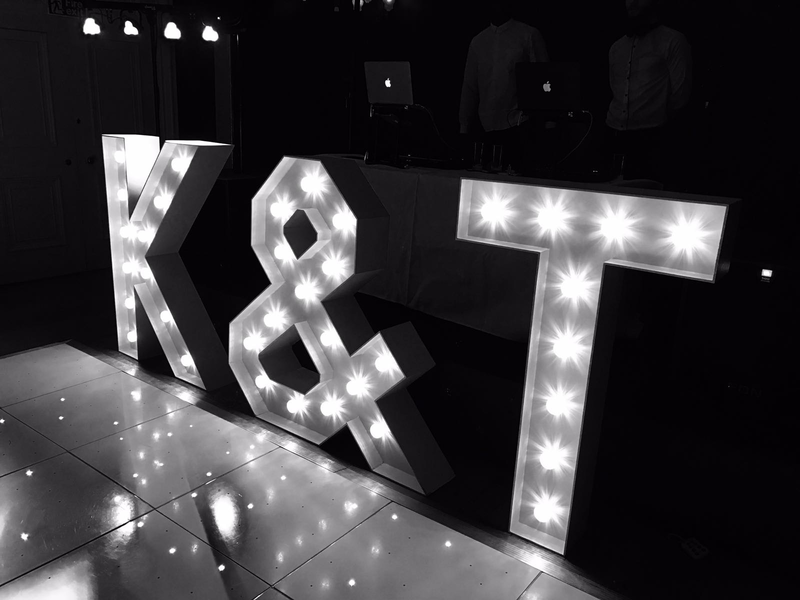 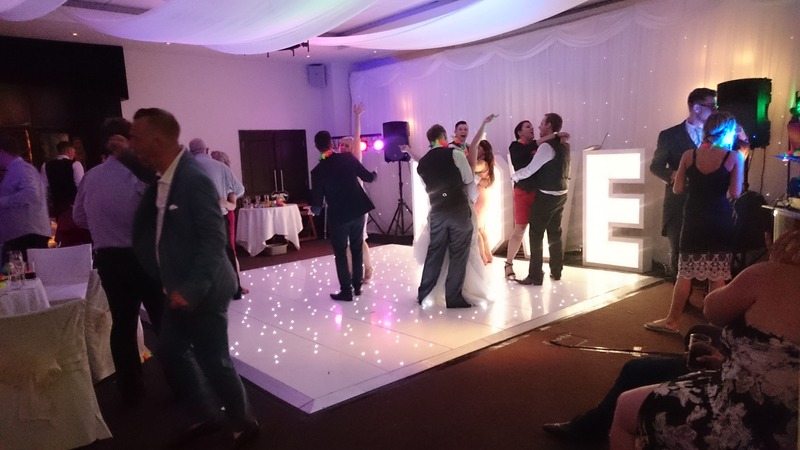 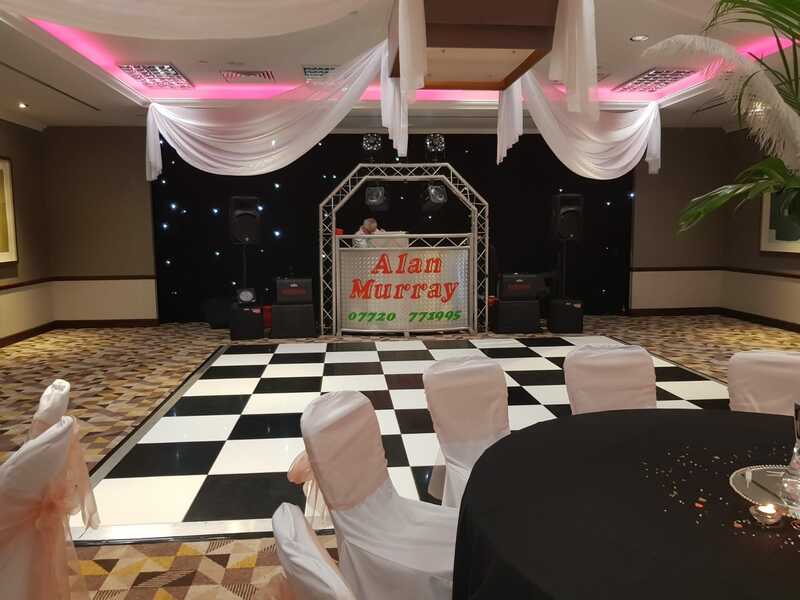 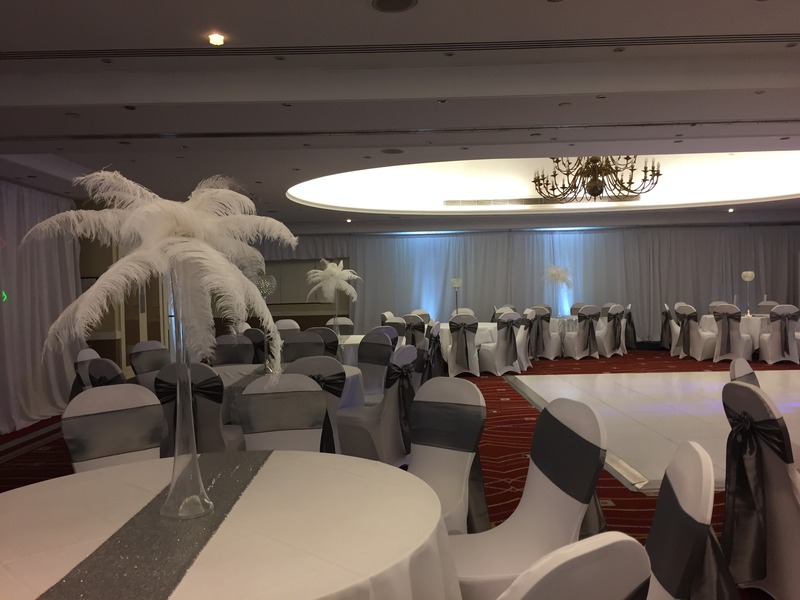 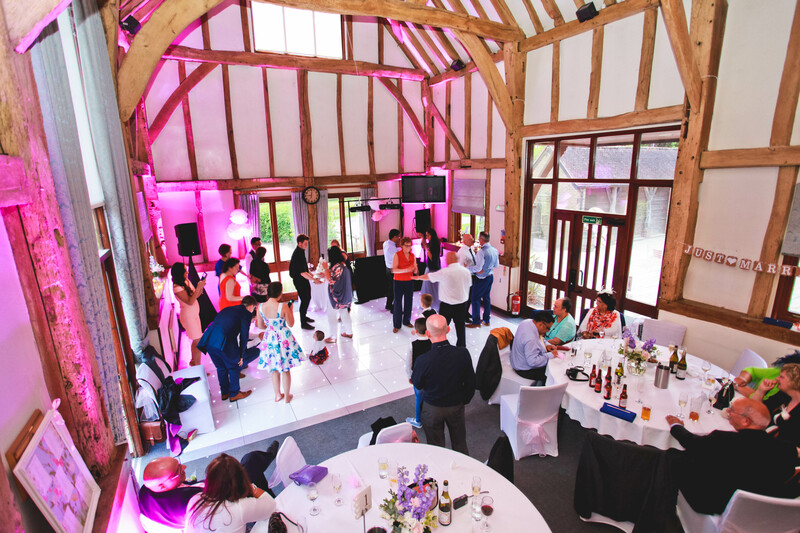 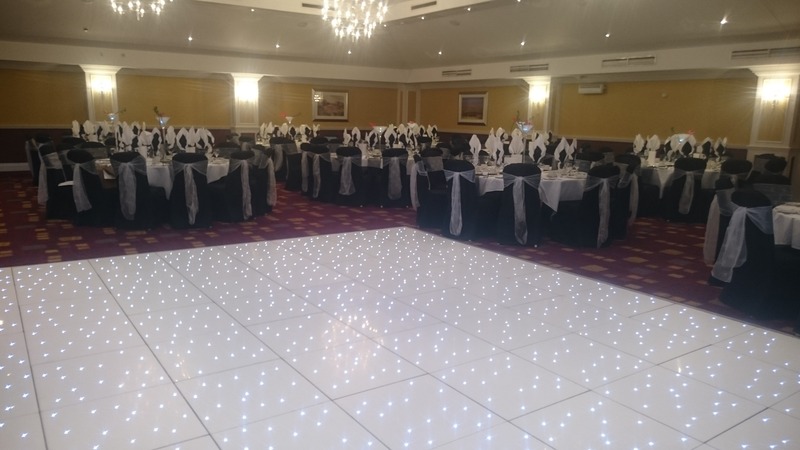 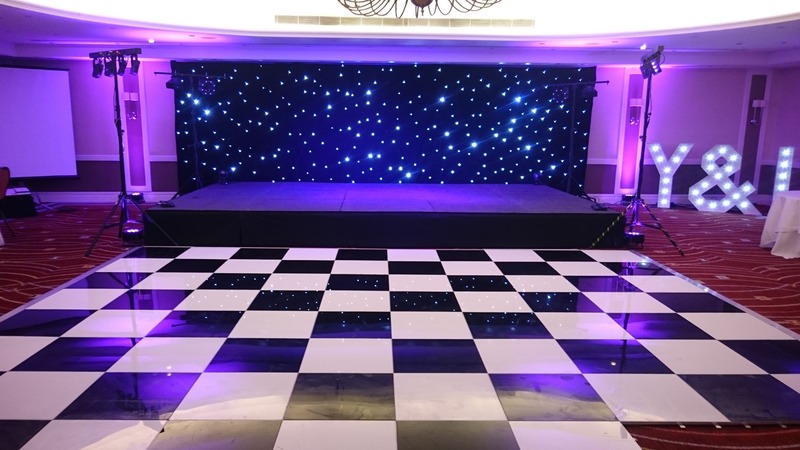 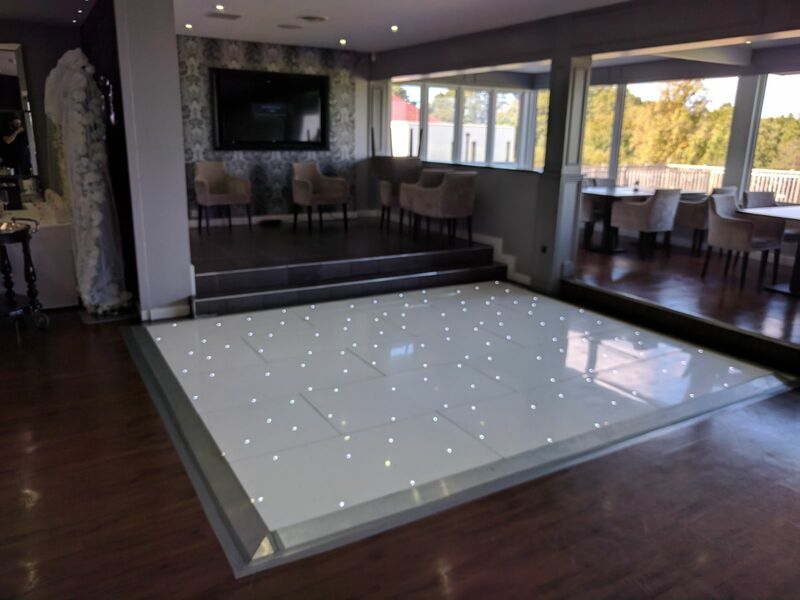 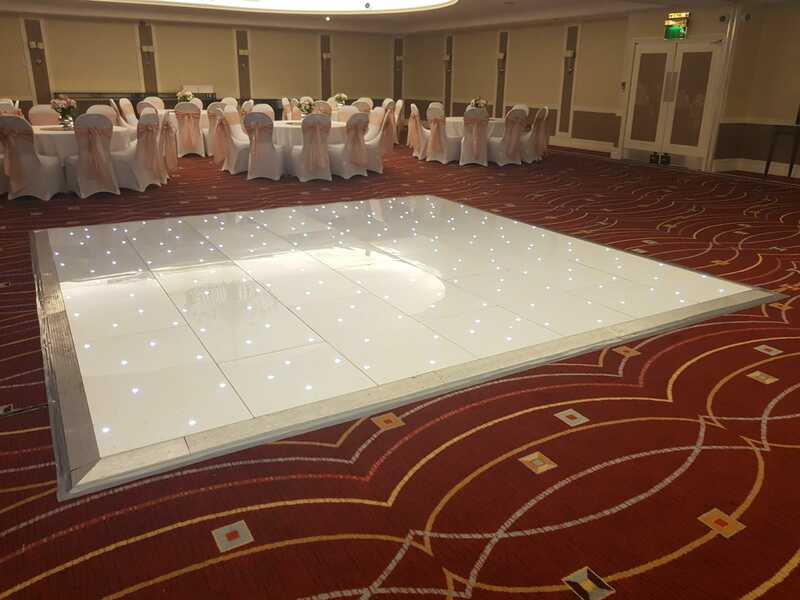 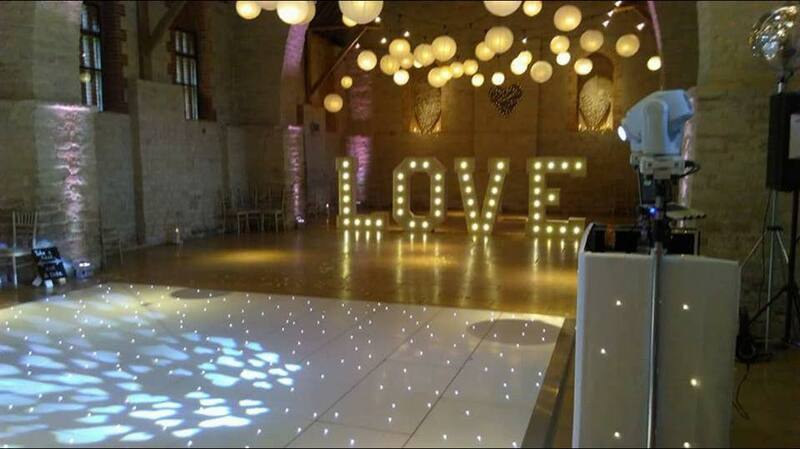 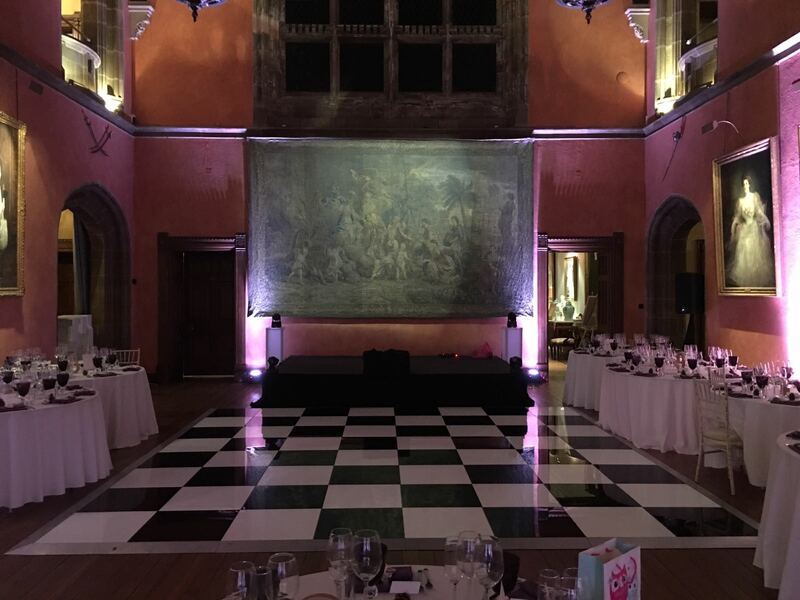 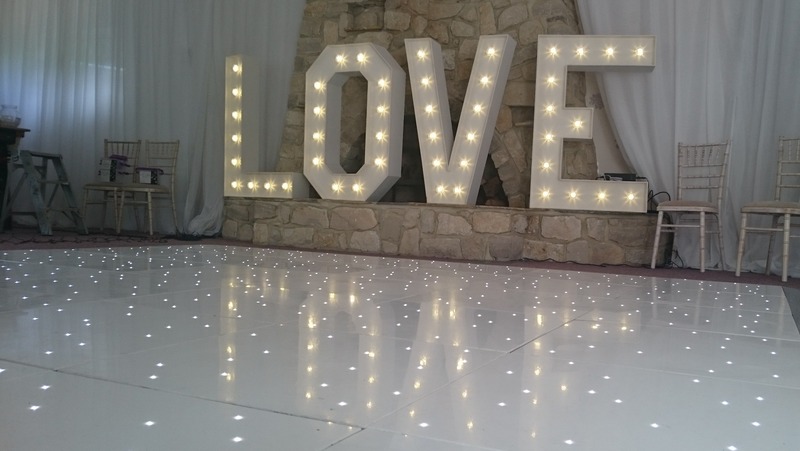 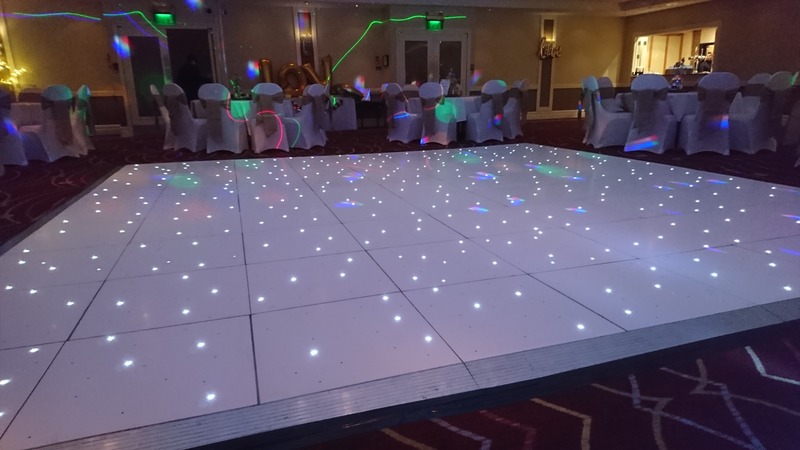 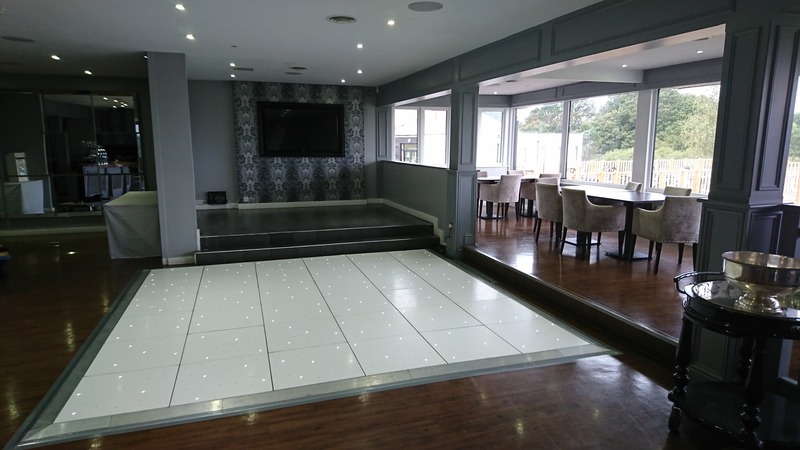 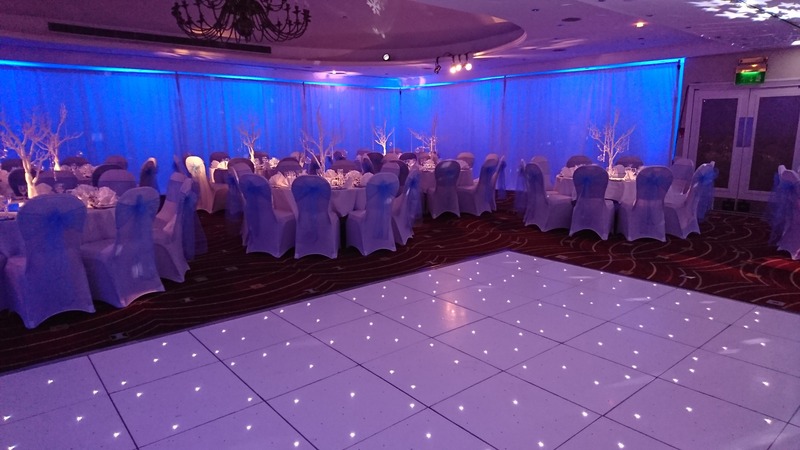 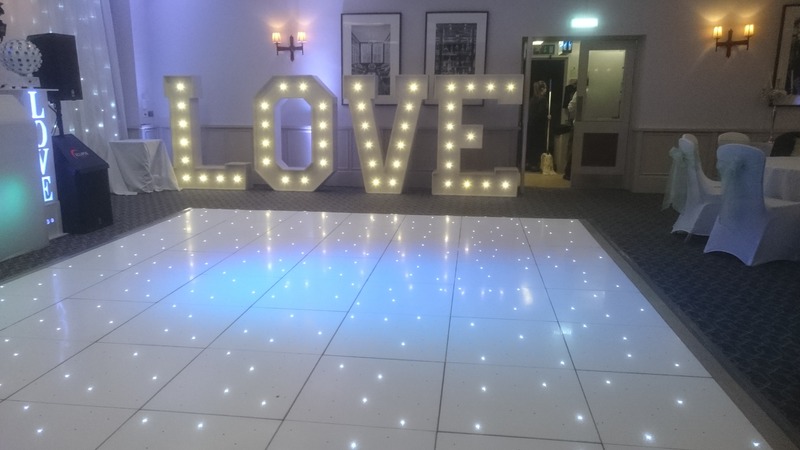 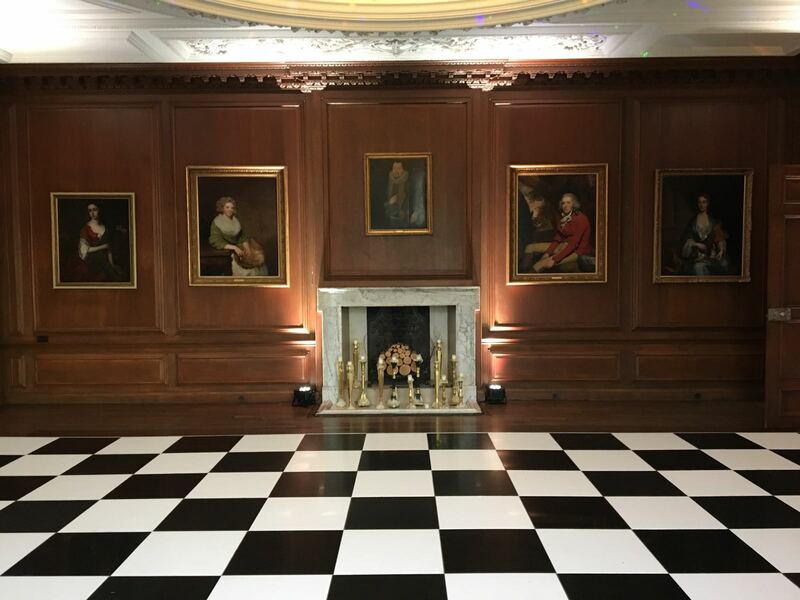 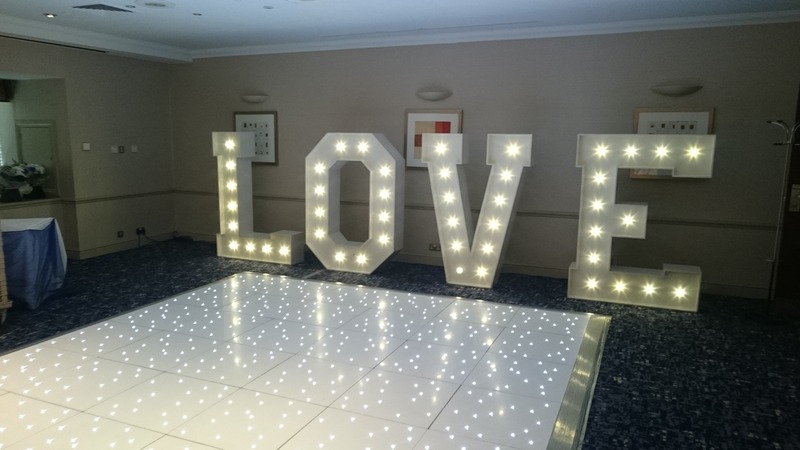 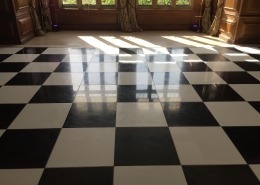 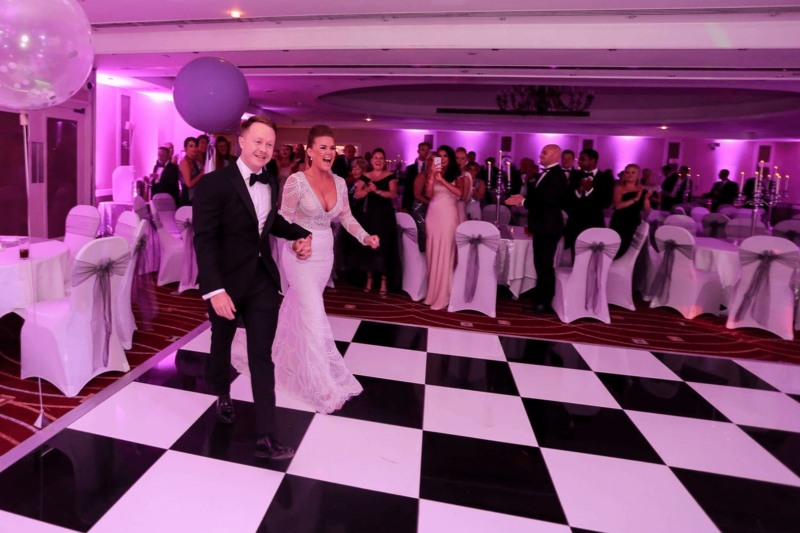 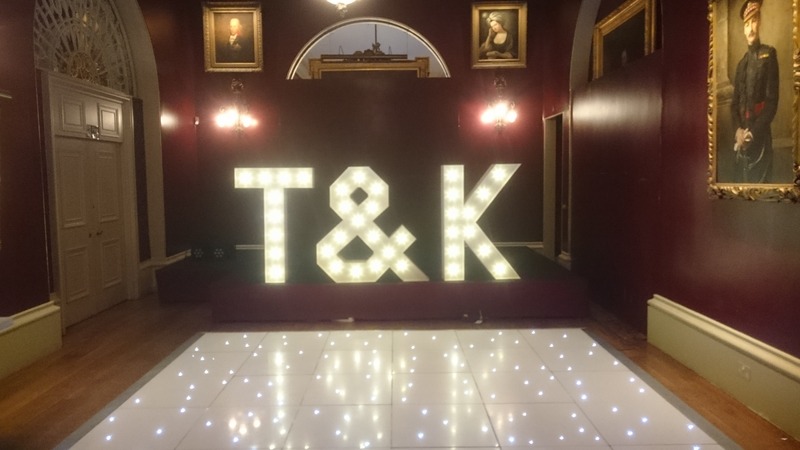 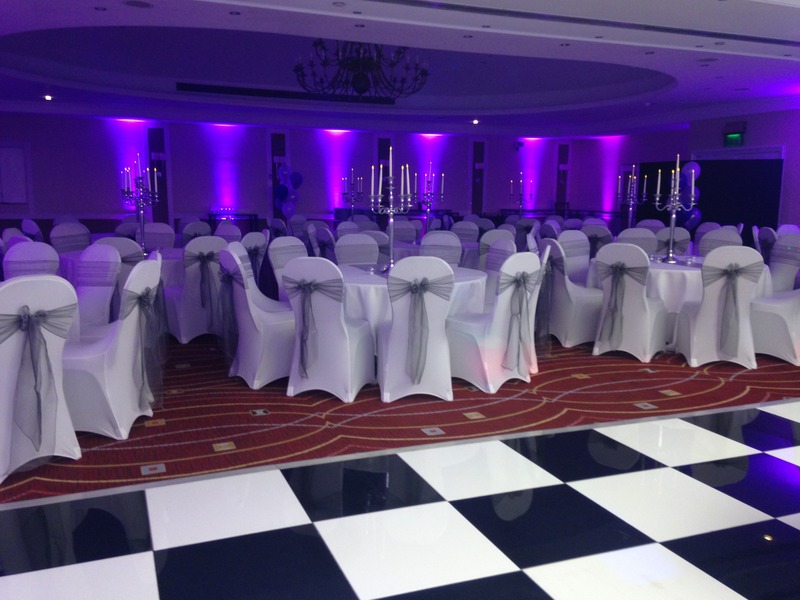 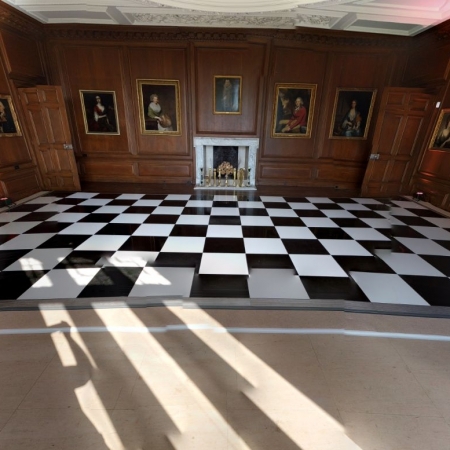 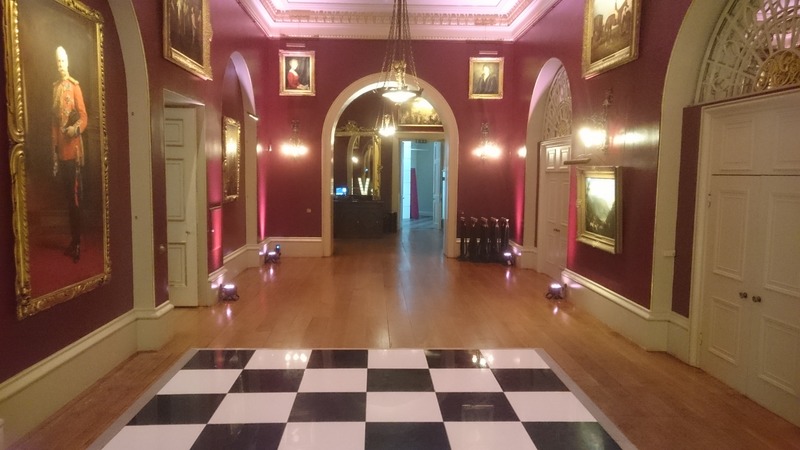 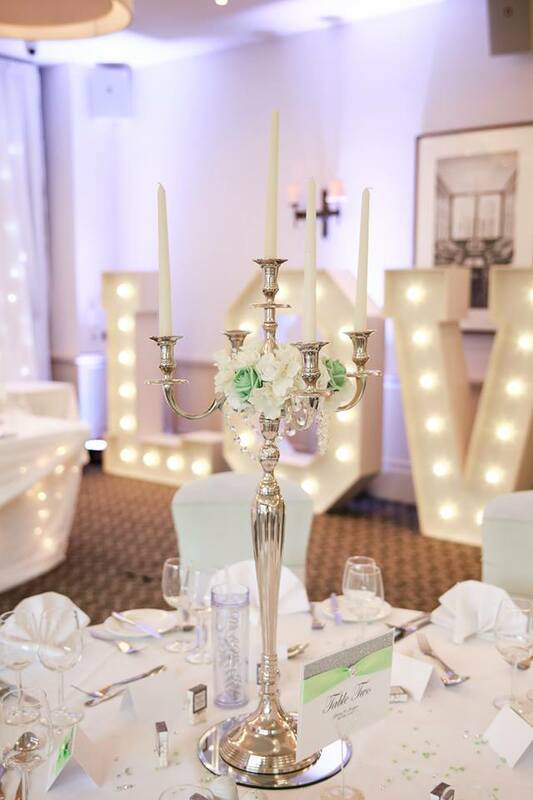 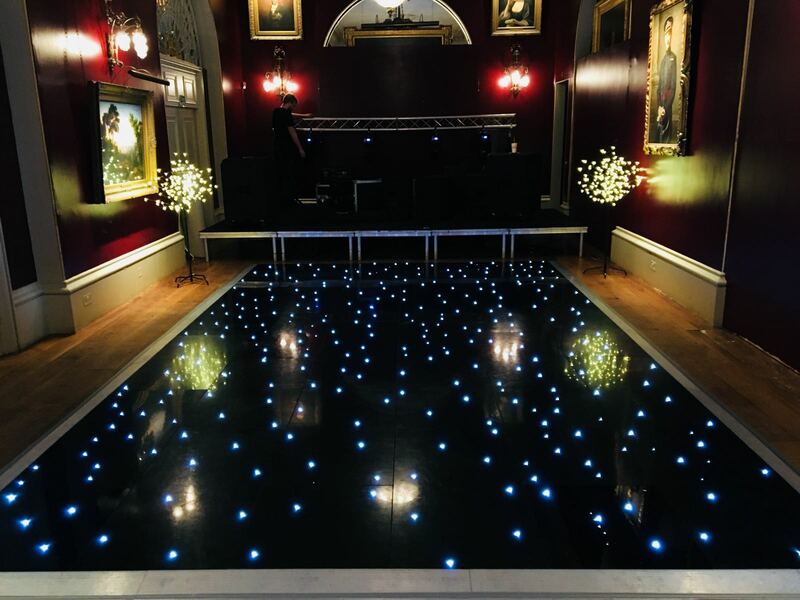 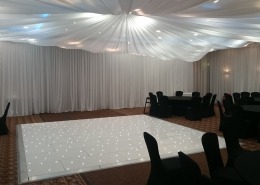 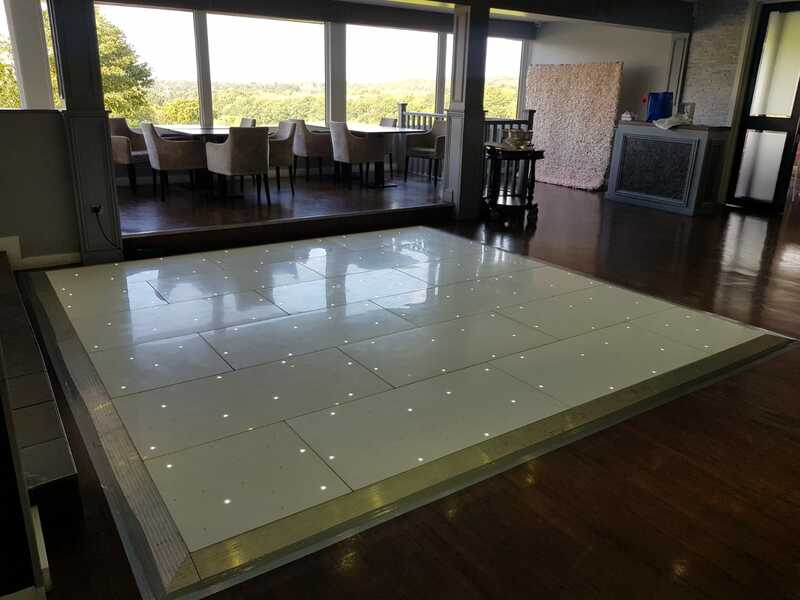 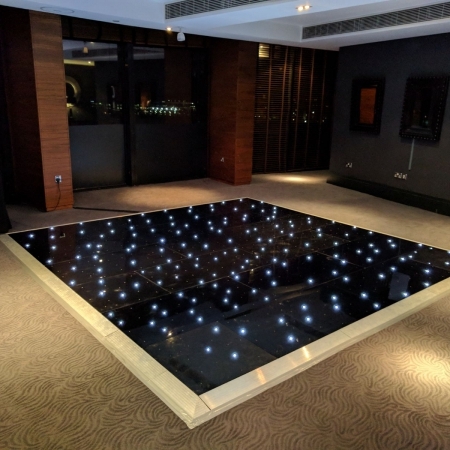 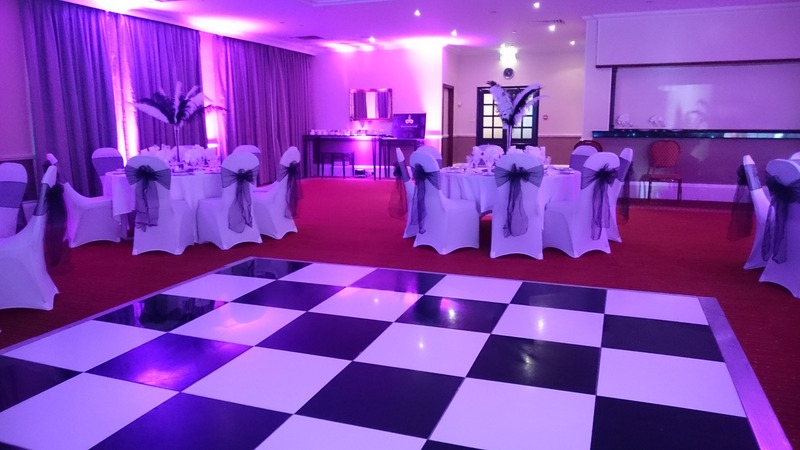 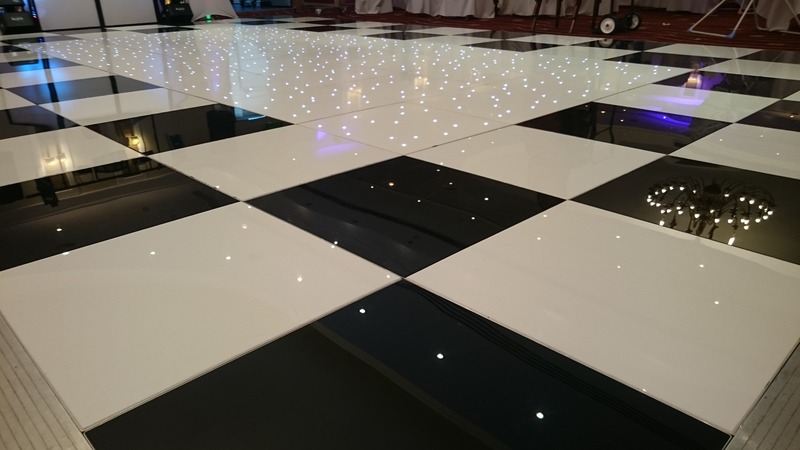 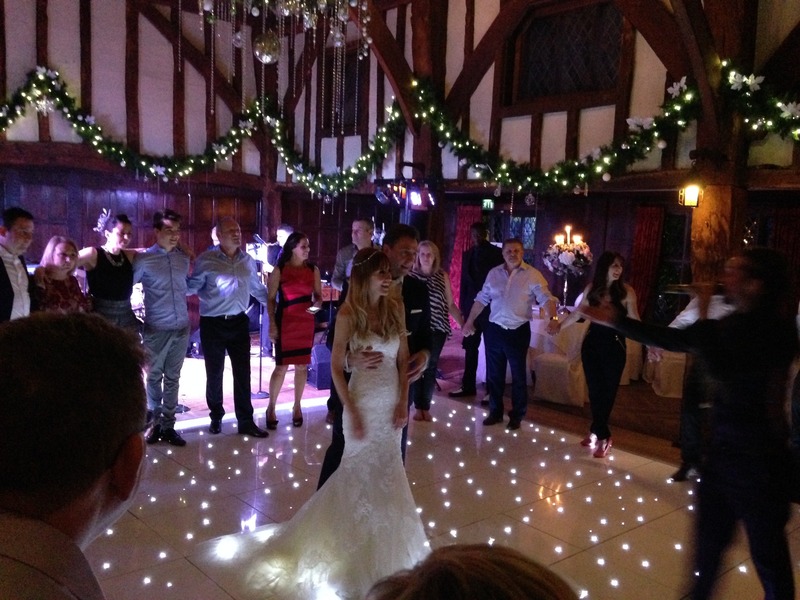 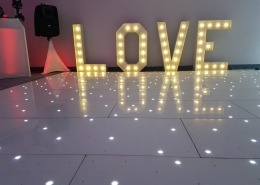 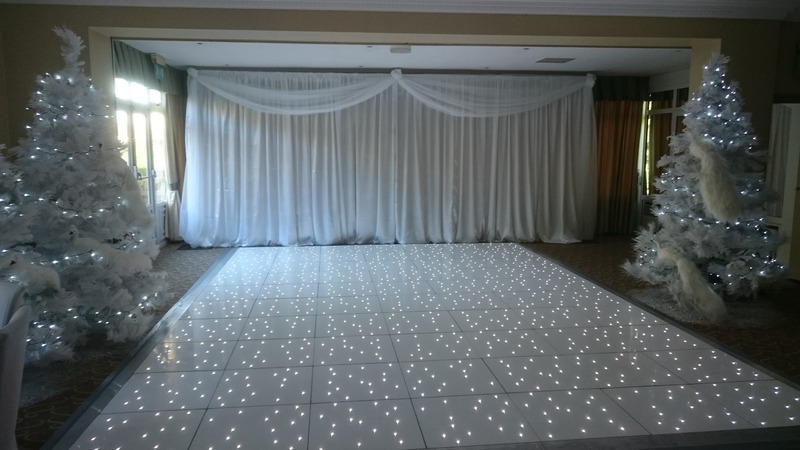 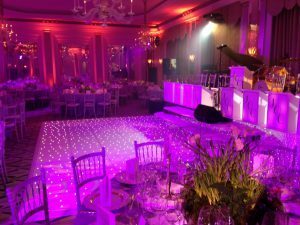 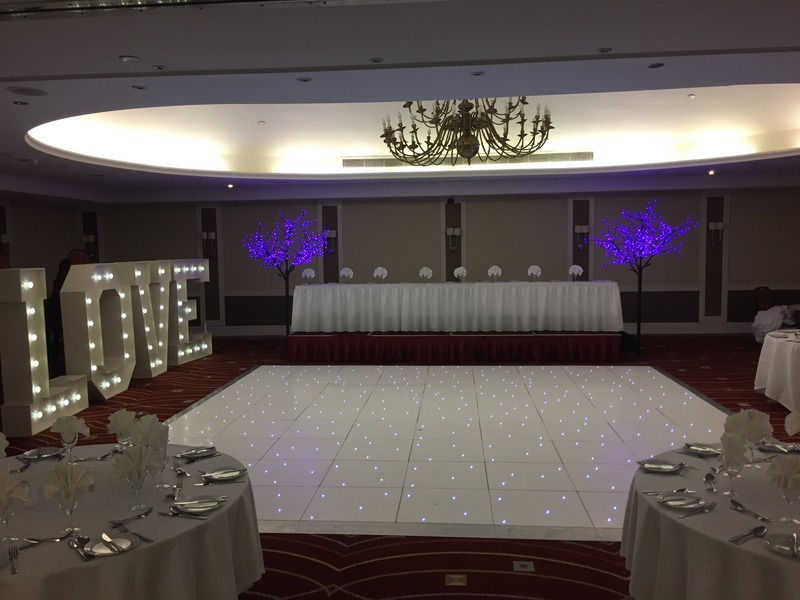 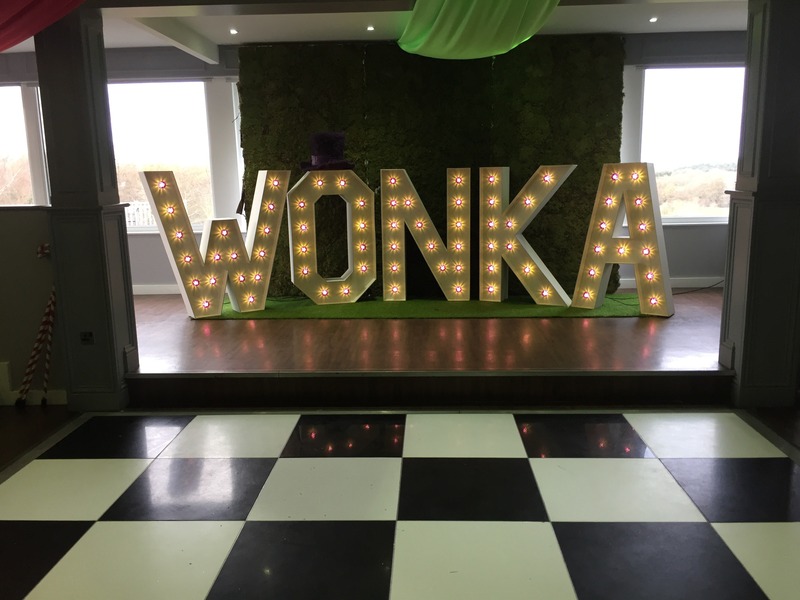 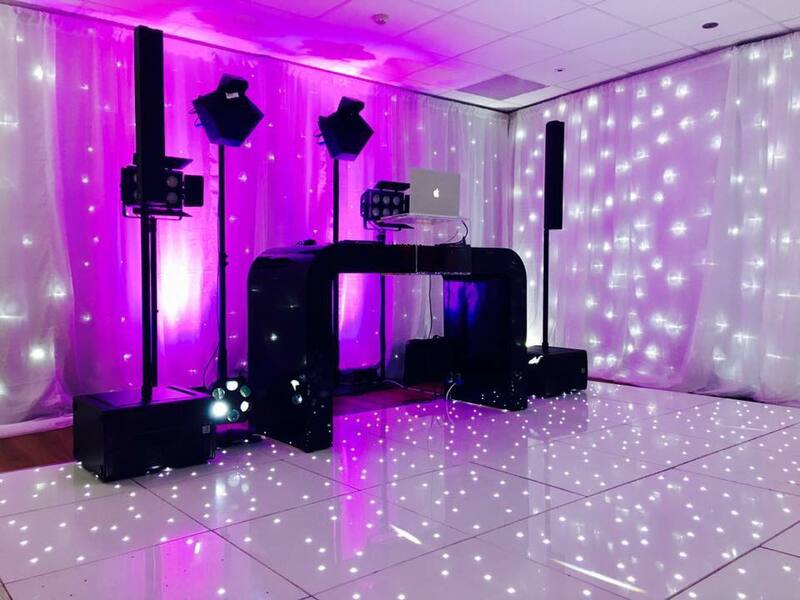 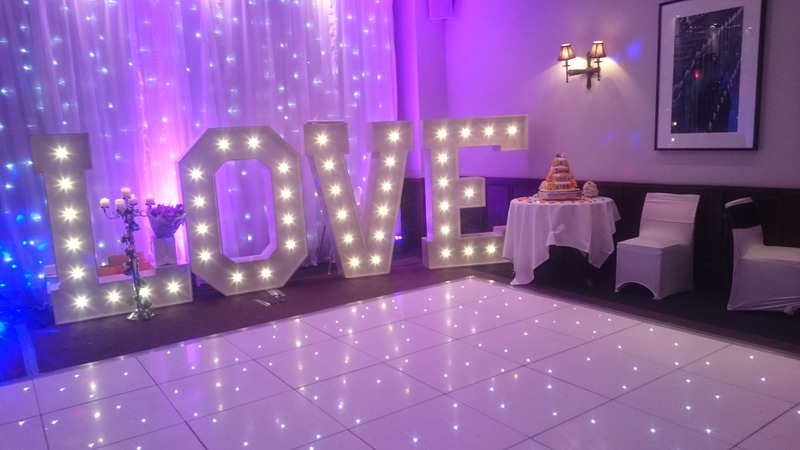 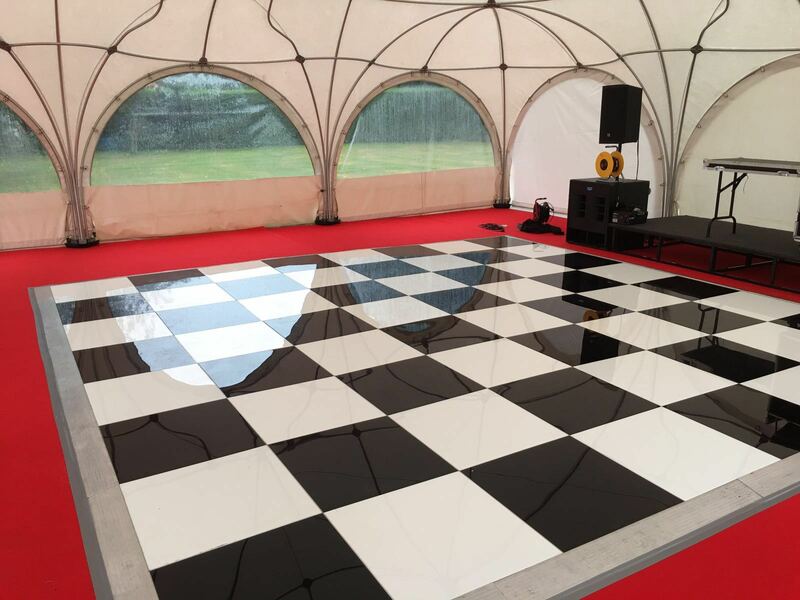 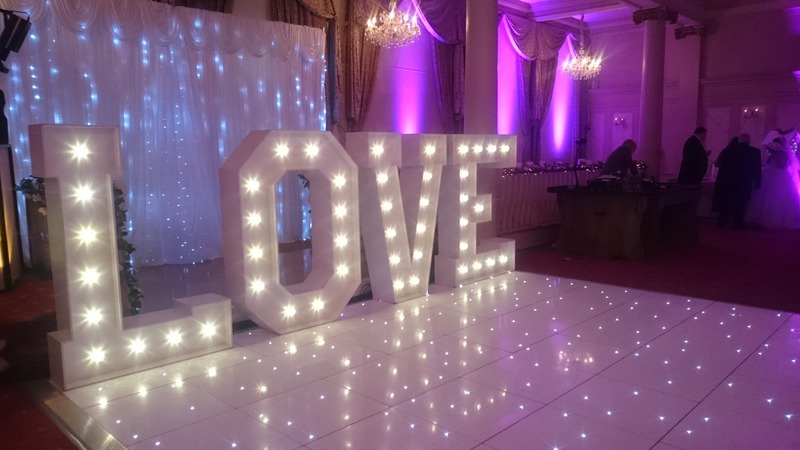 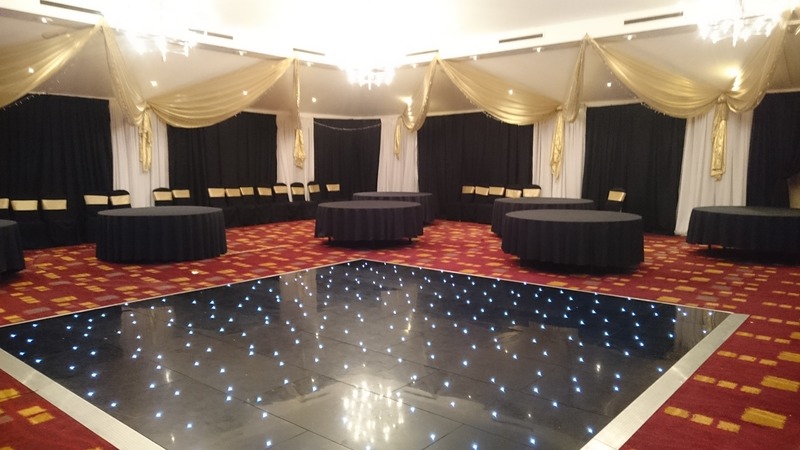 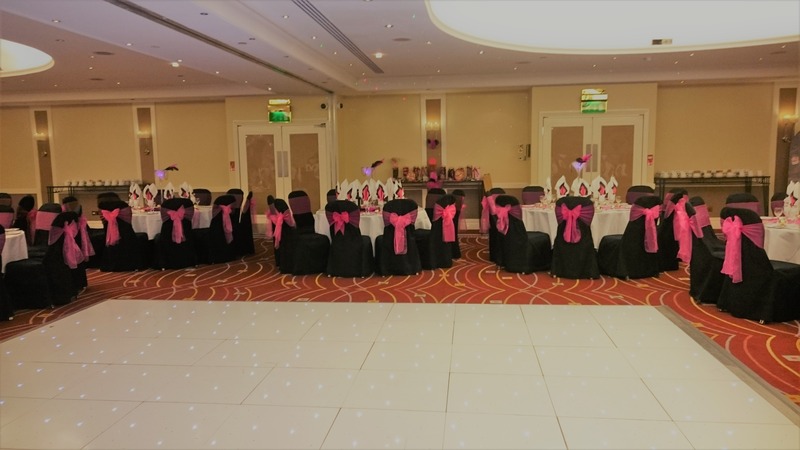 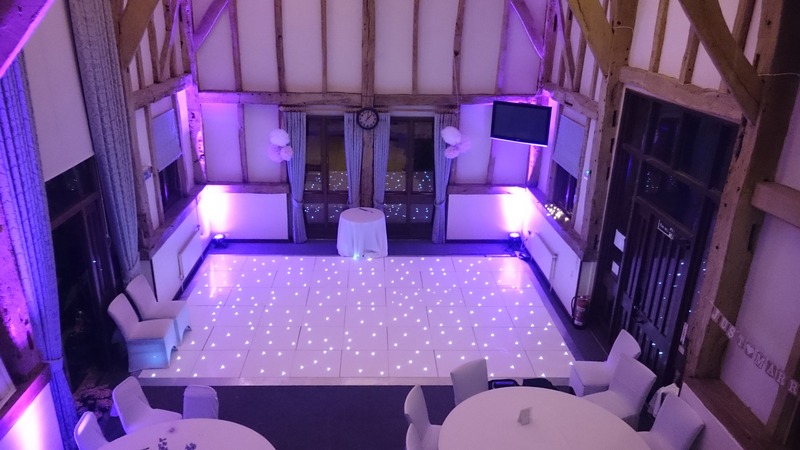 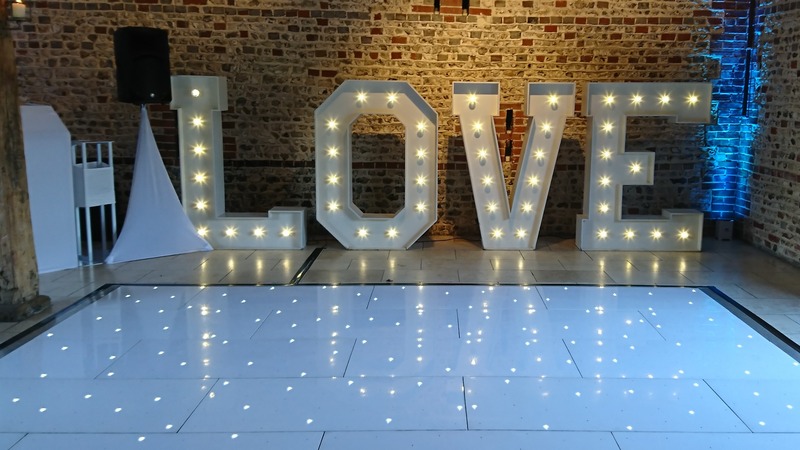 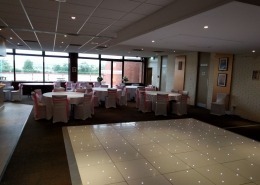 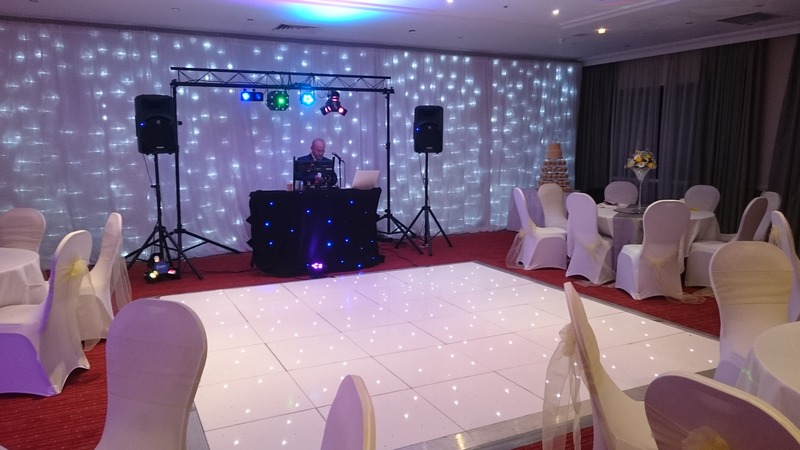 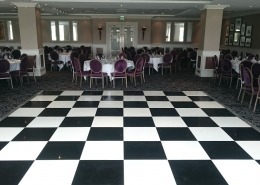 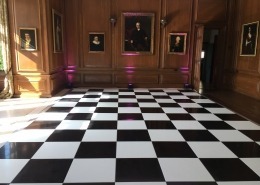 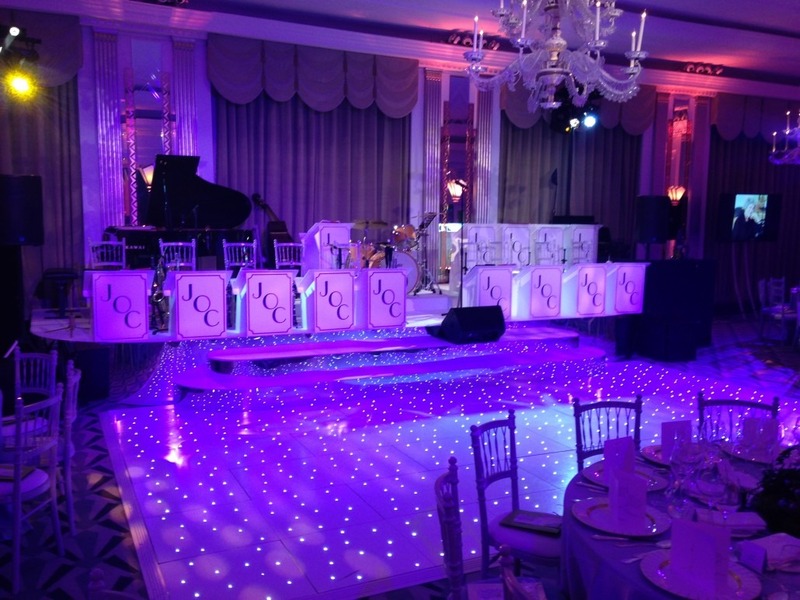 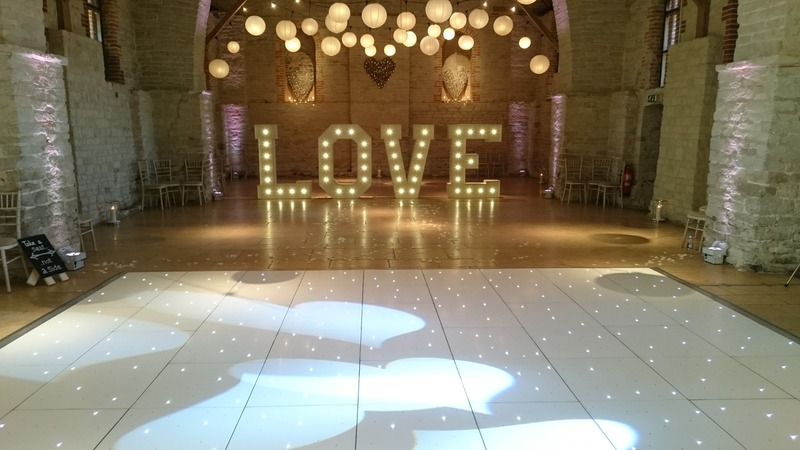 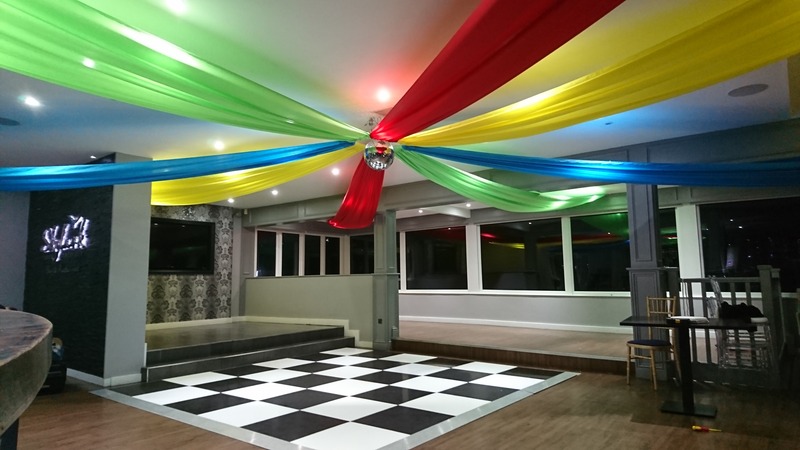 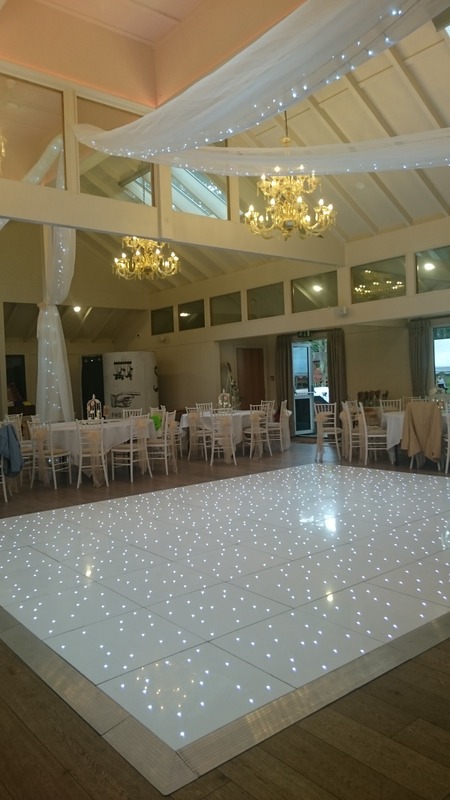 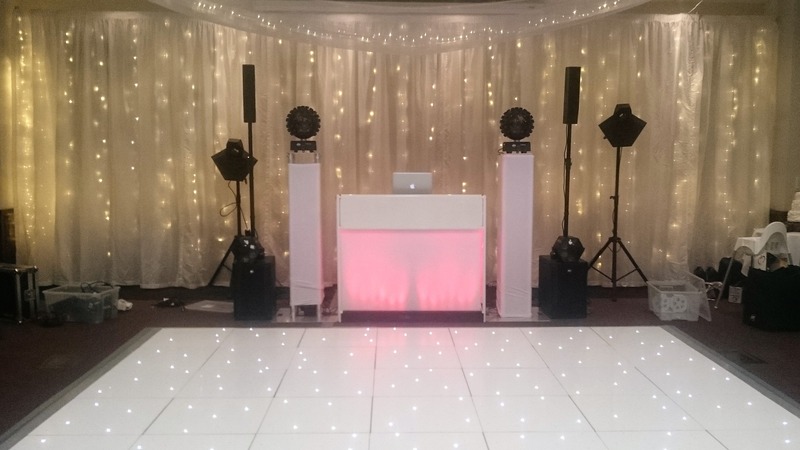 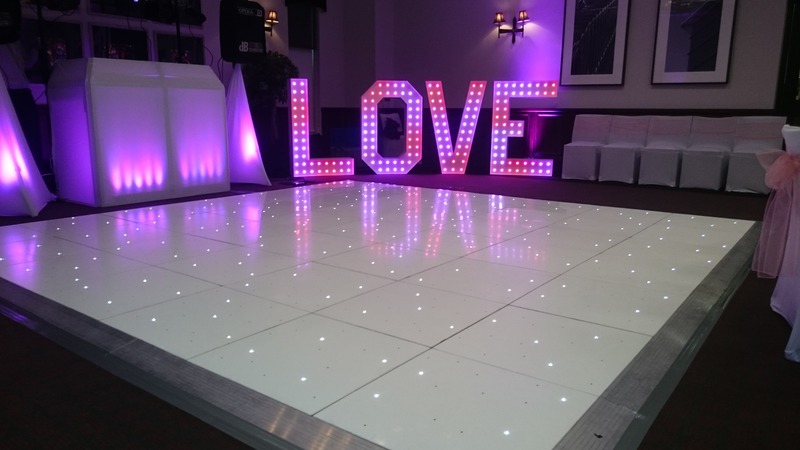 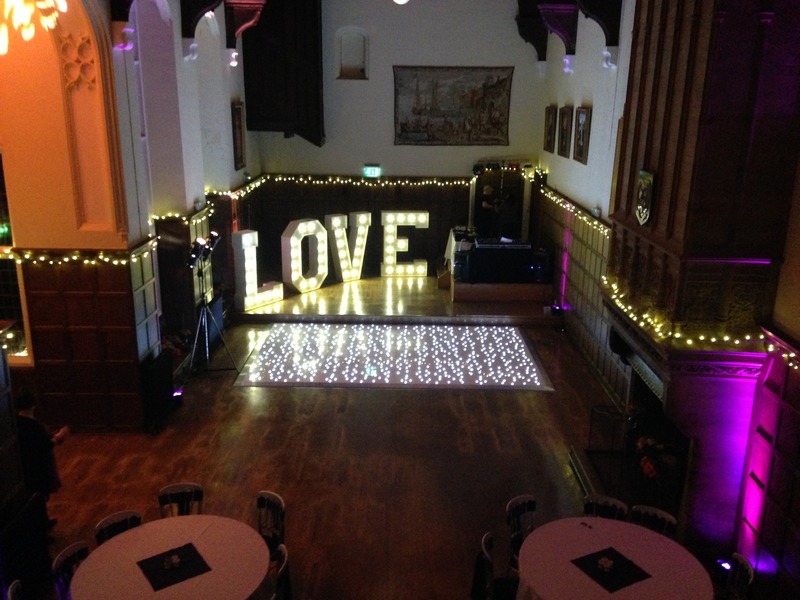 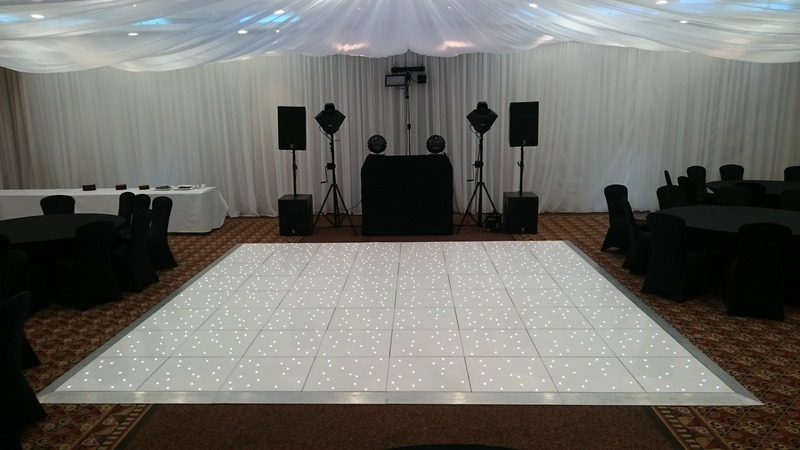 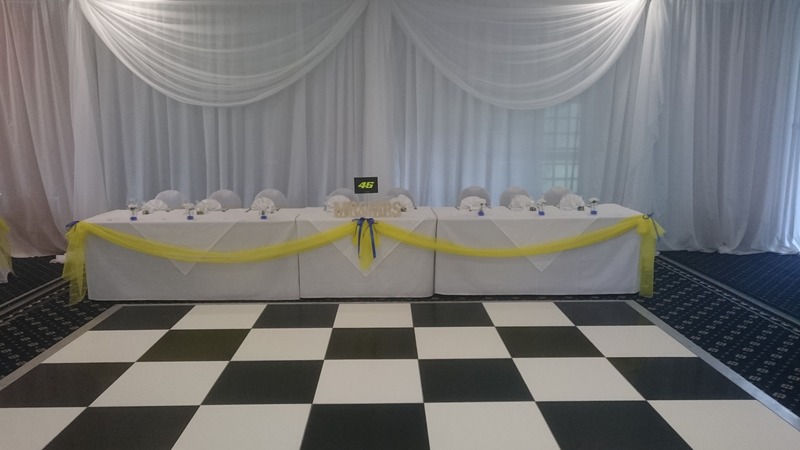 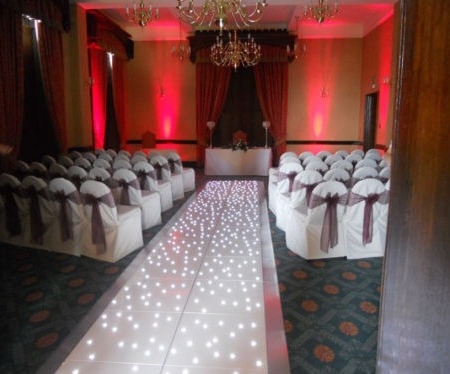 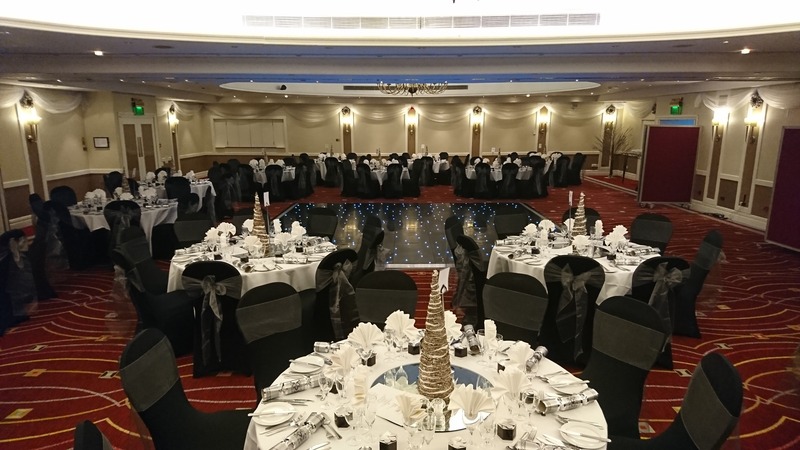 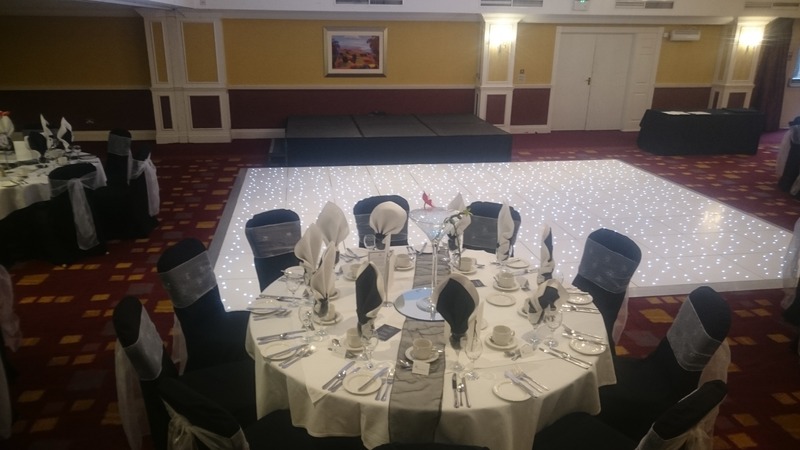 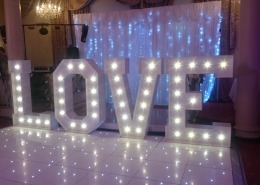 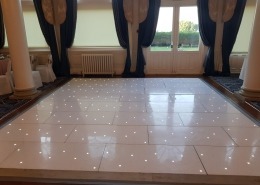 Whether you’re looking for a dance floor to give your wedding a special finishing touch, or to turn an important birthday into something extra special, we can offer a range of different dancefloors from Oak Parquet to Gloss Black and White to LED Twinkle, we operate nationally and can install and remove equipment any time of day or night. 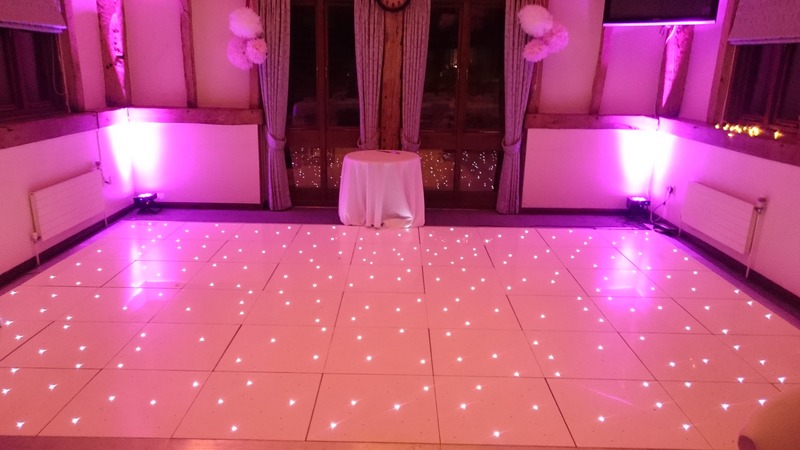 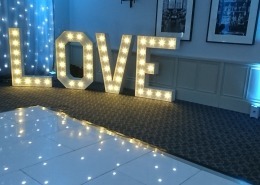 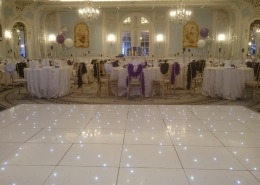 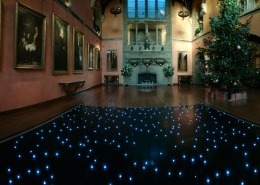 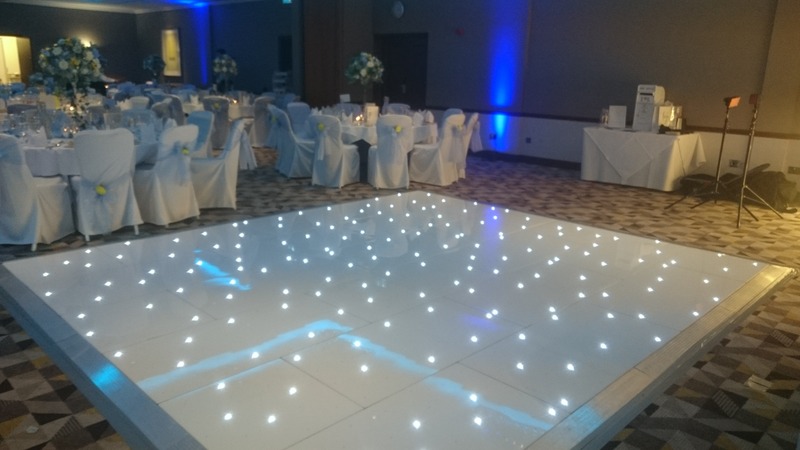 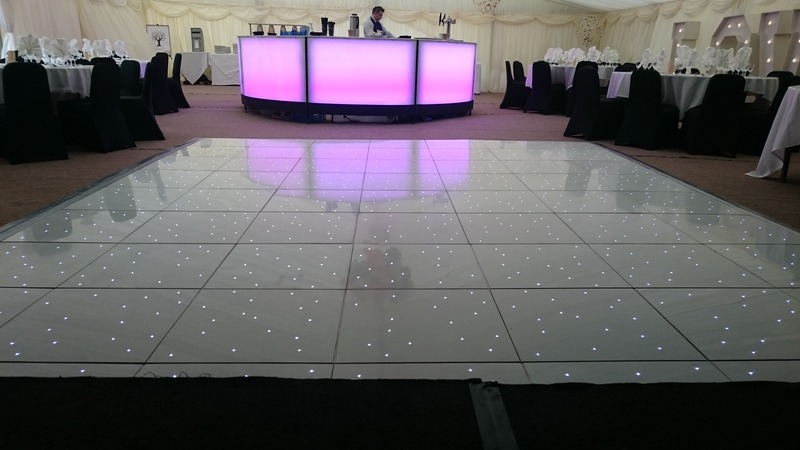 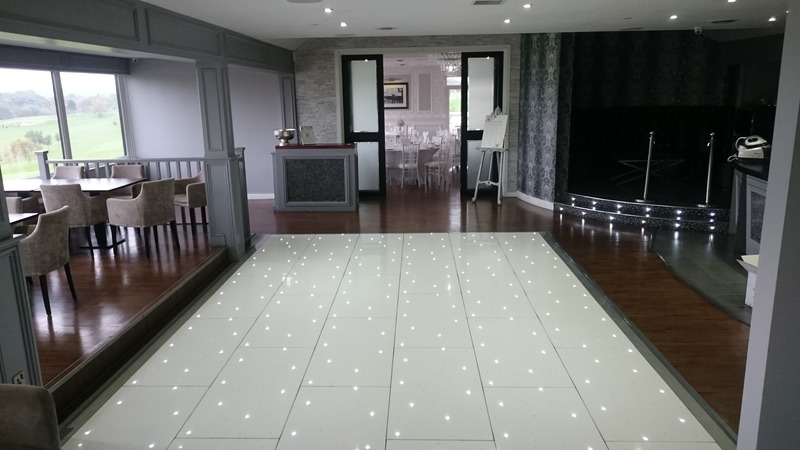 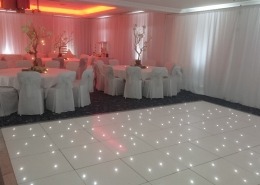 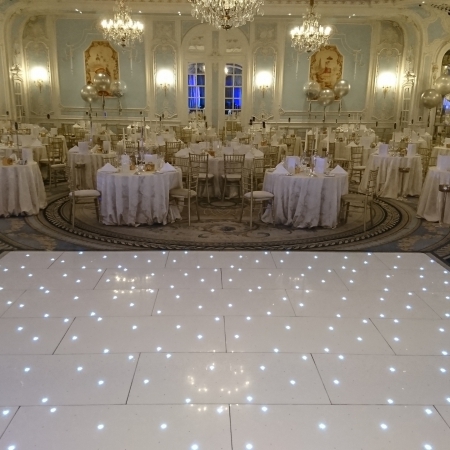 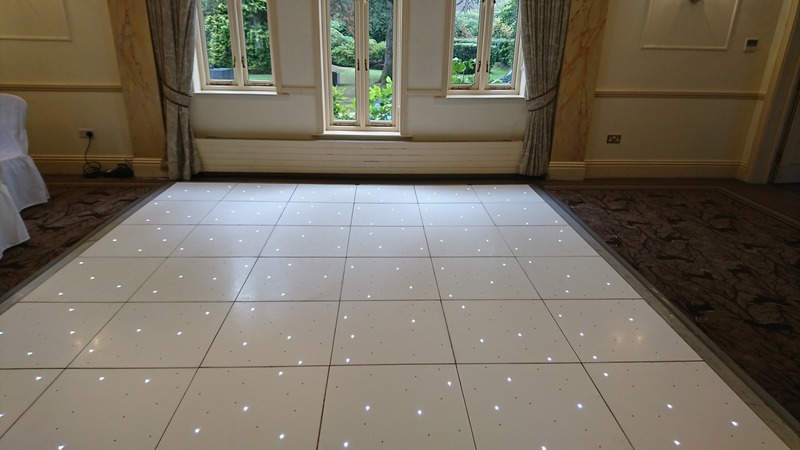 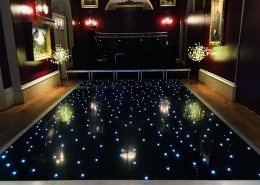 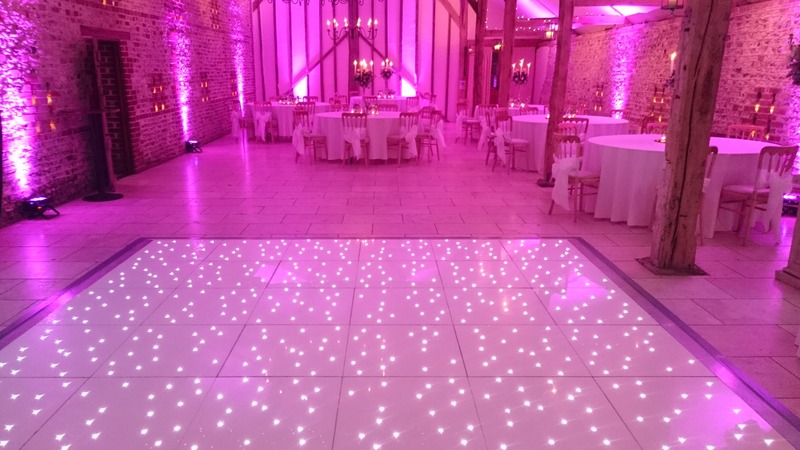 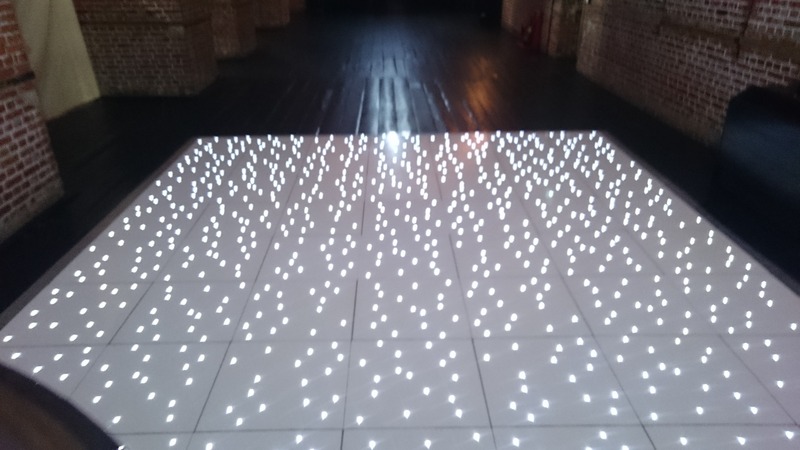 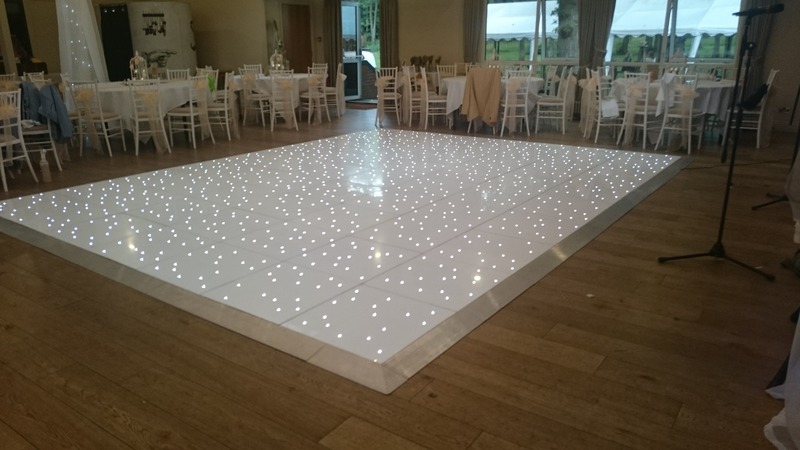 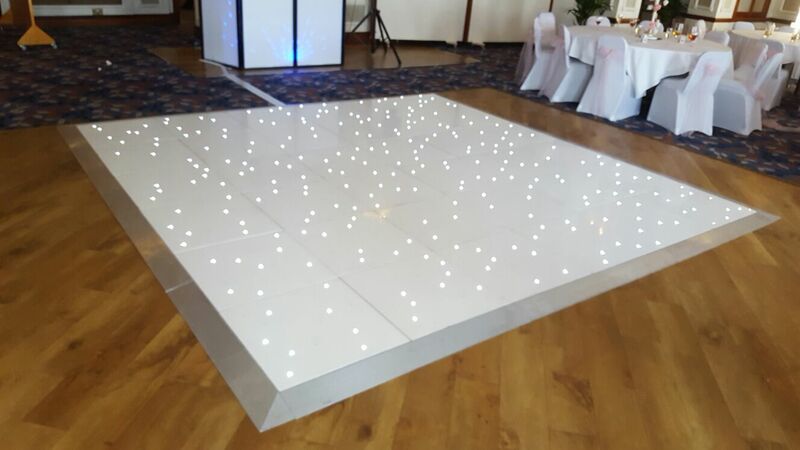 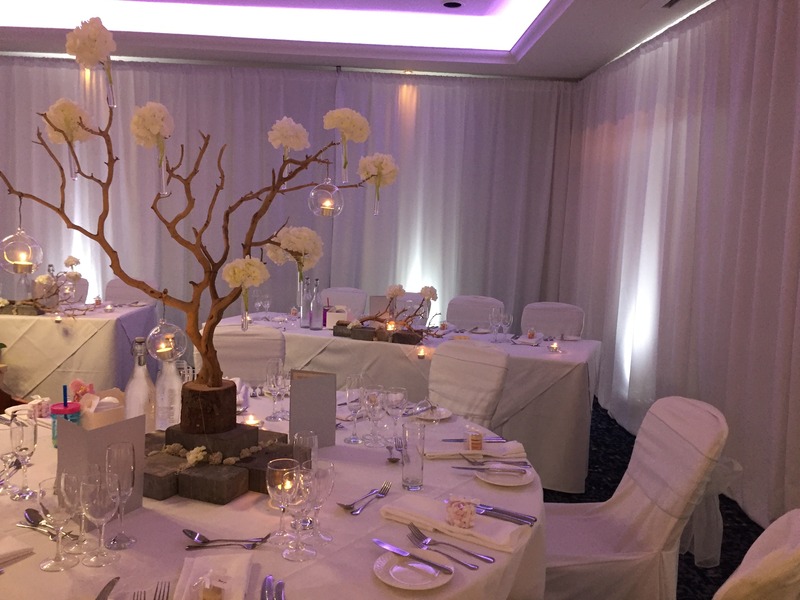 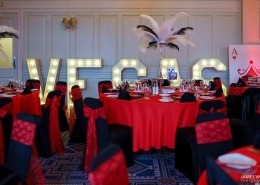 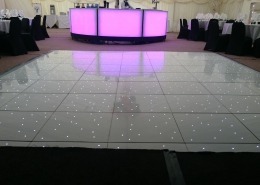 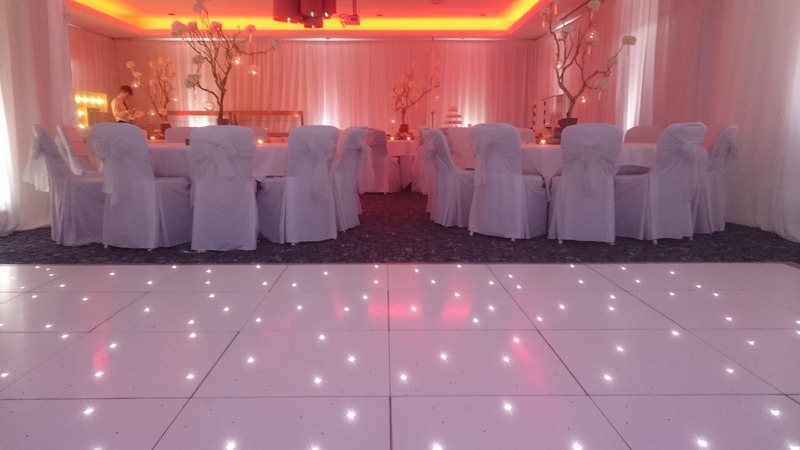 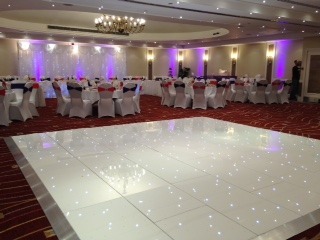 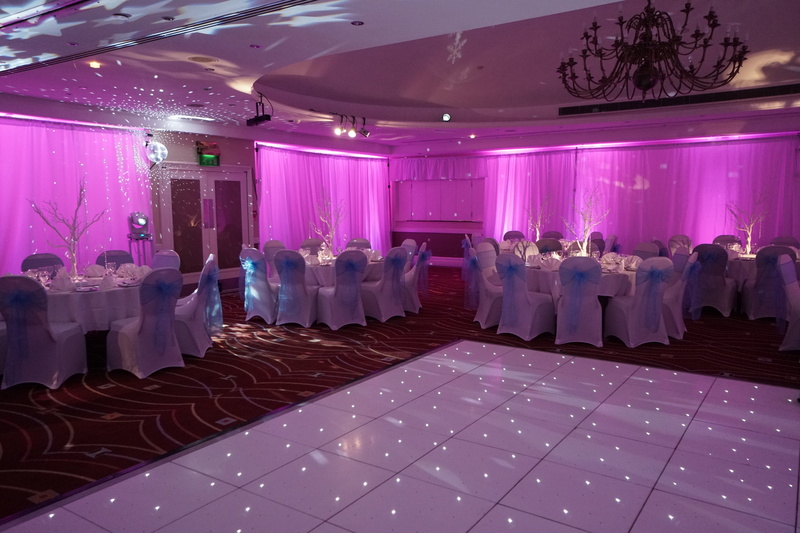 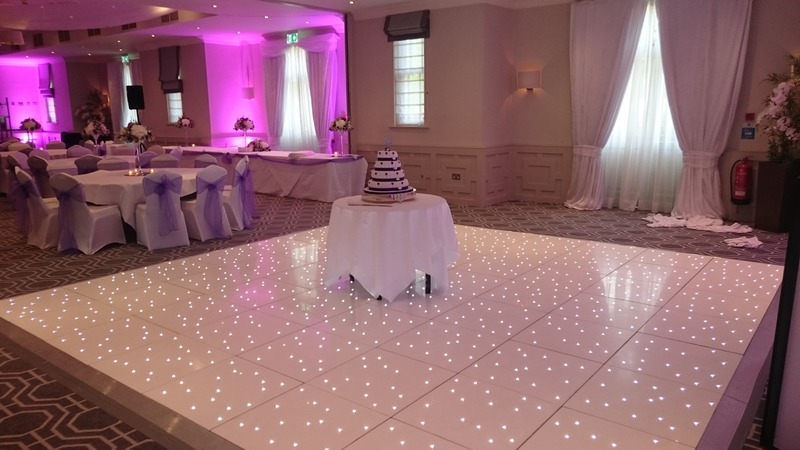 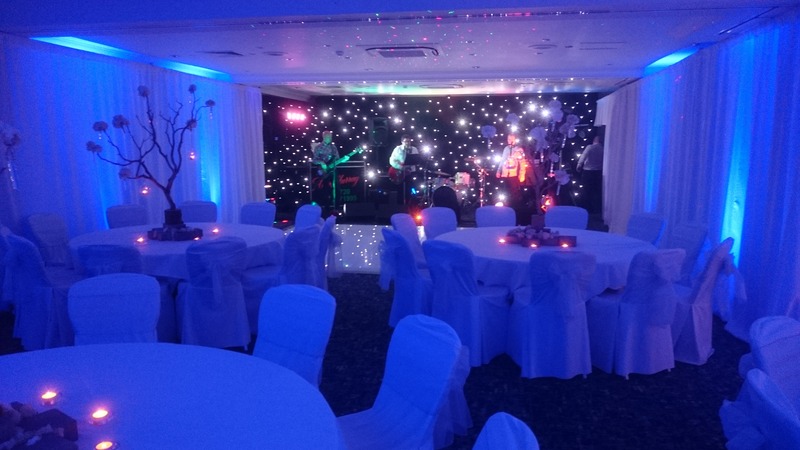 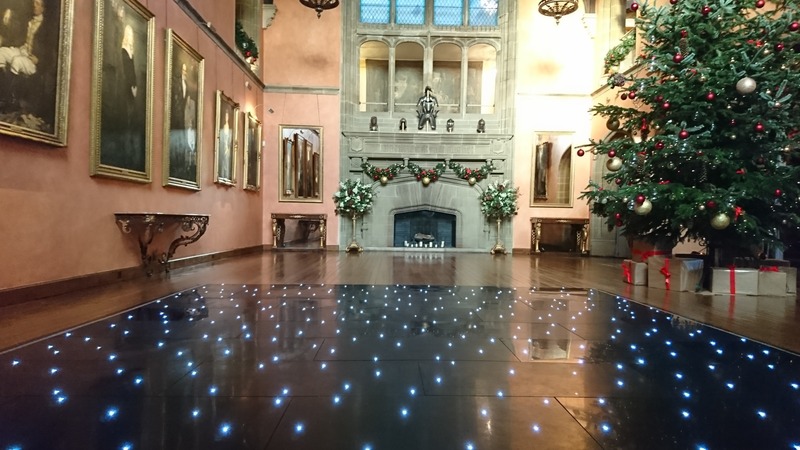 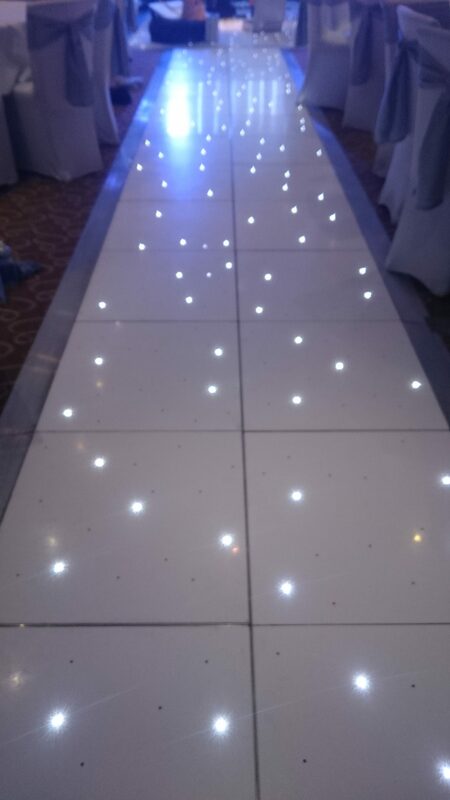 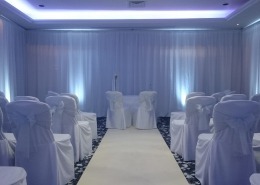 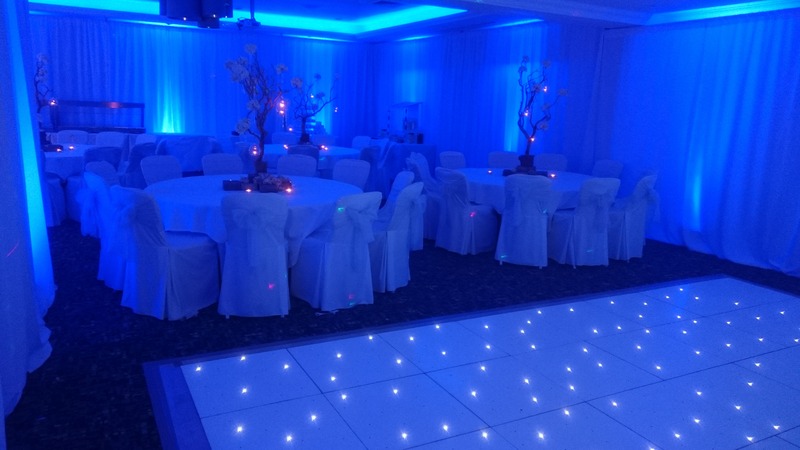 One of our White LED Floors at Marwell Hotel again. 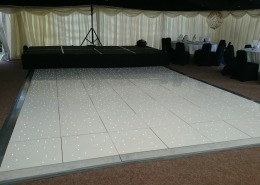 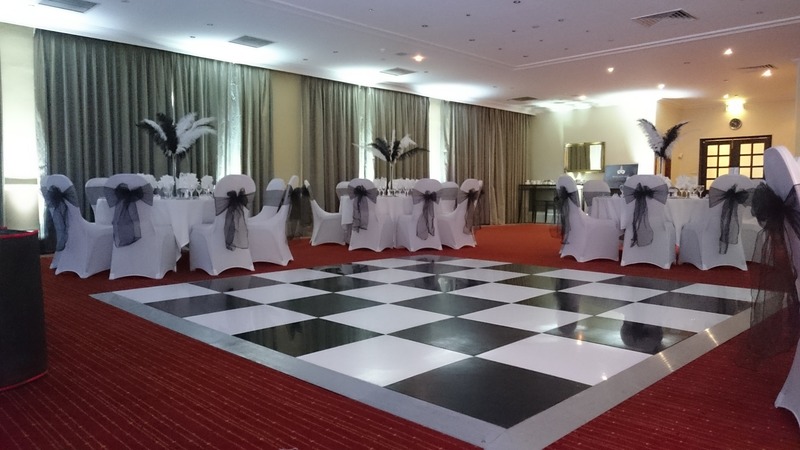 Large Black and white dancefloor with Bride & Groom.